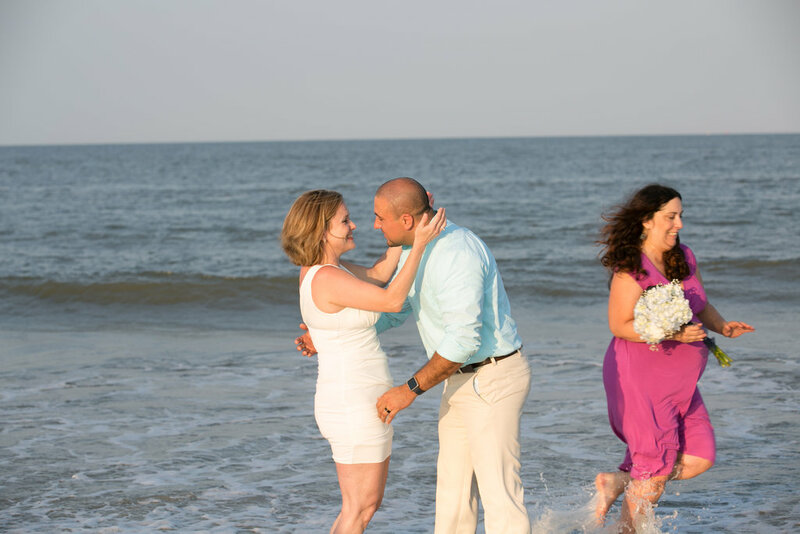 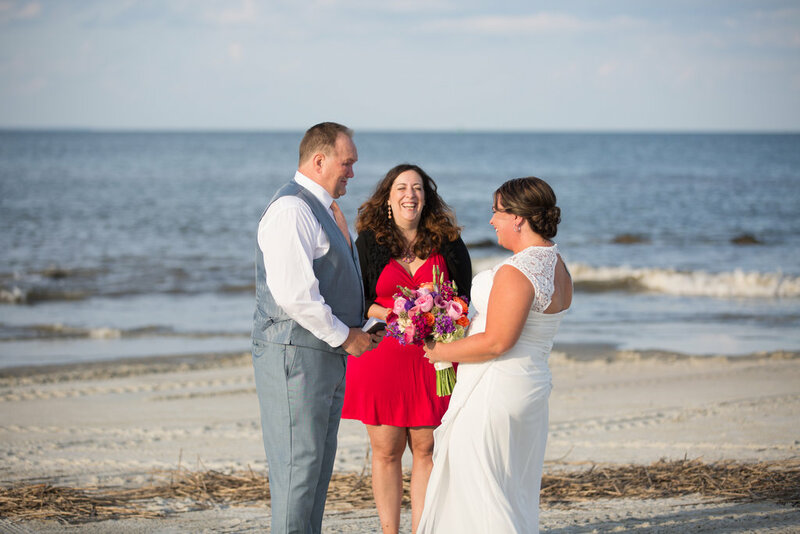 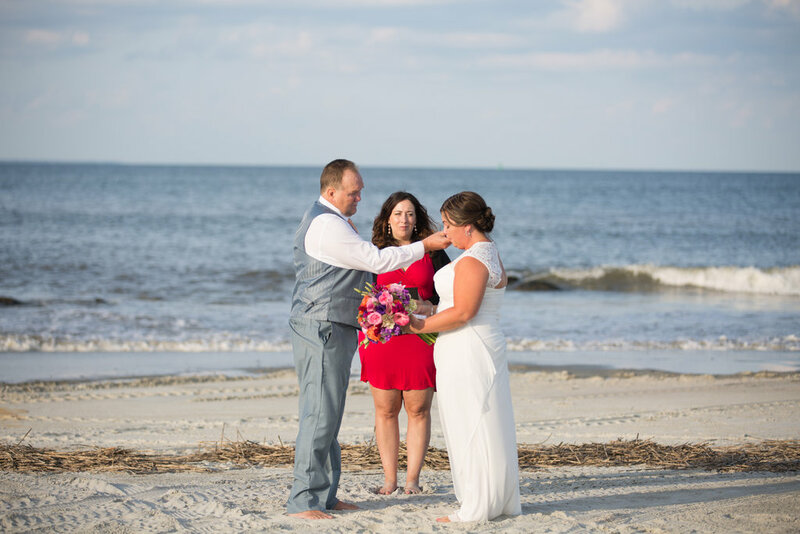 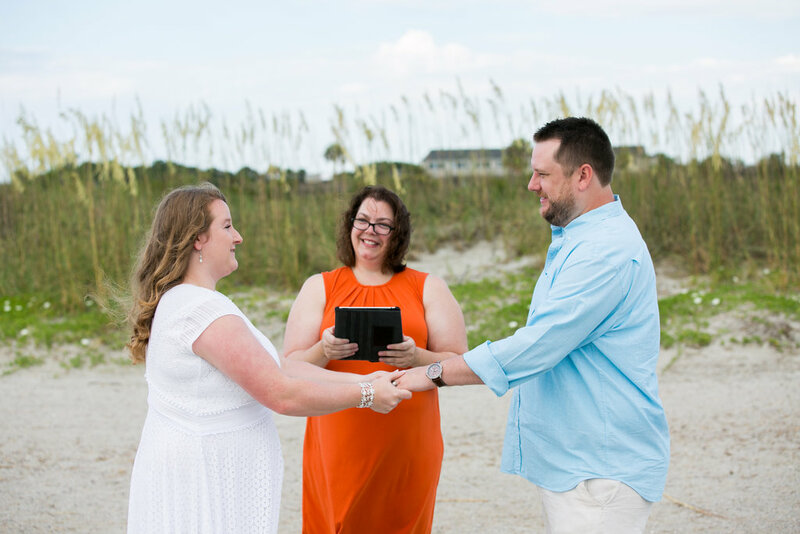 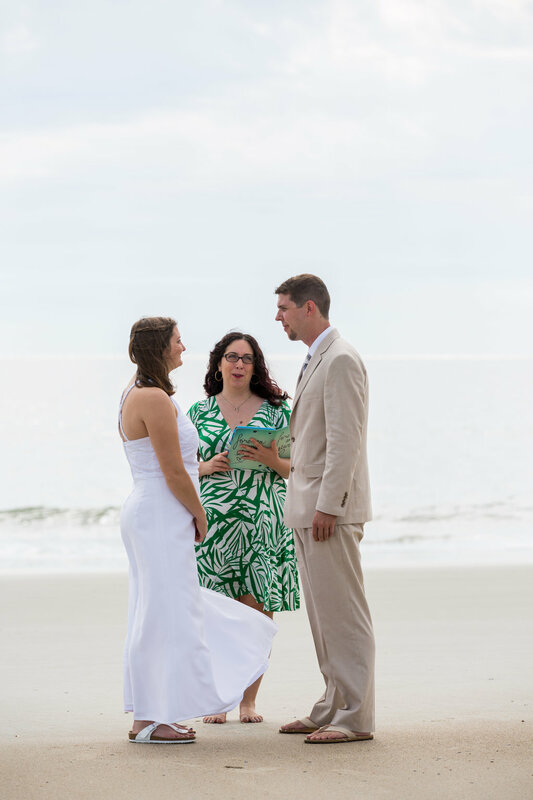 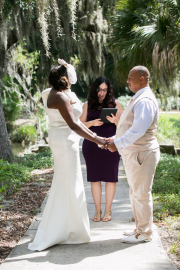 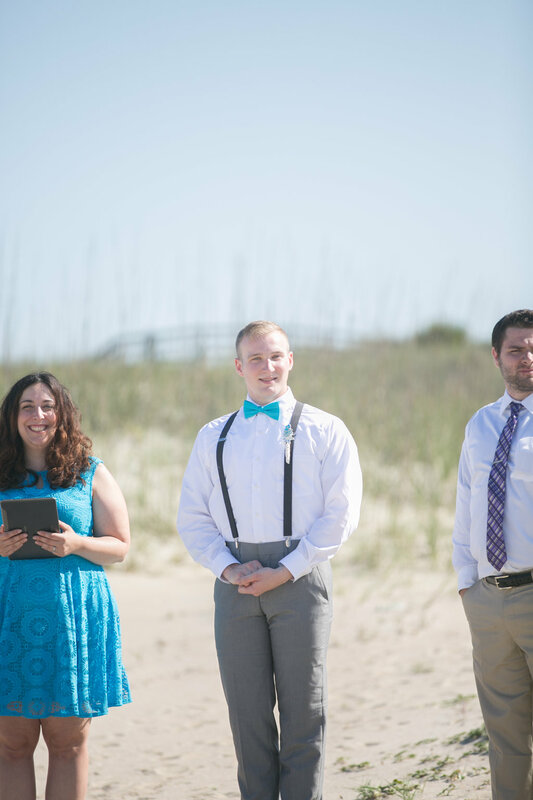 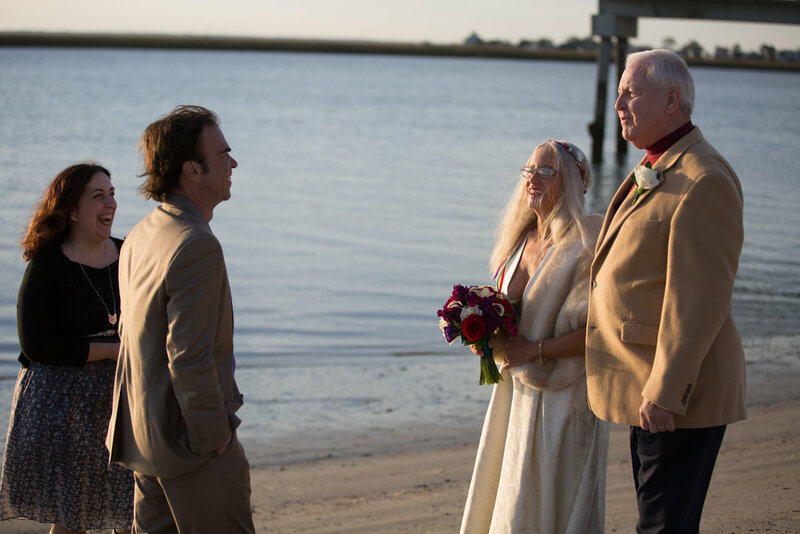 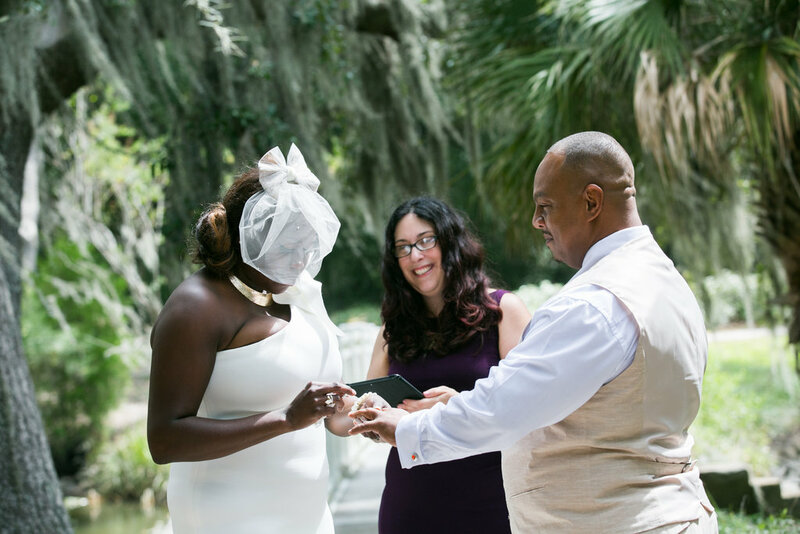 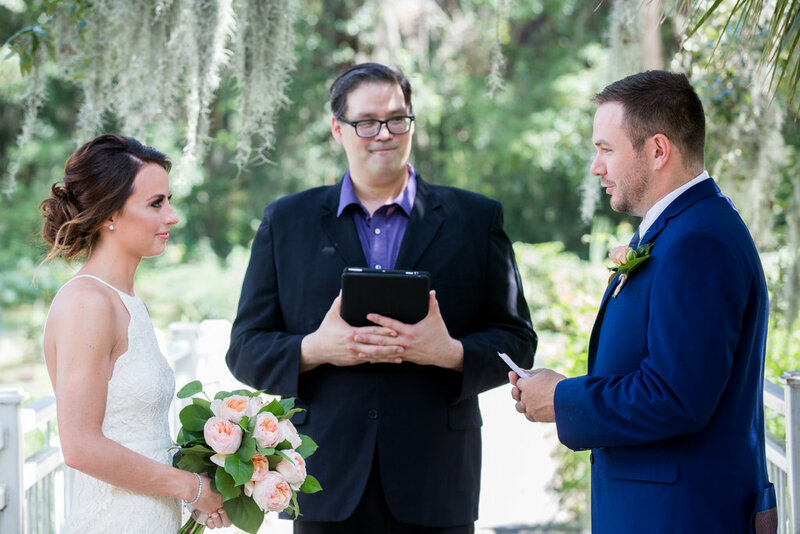 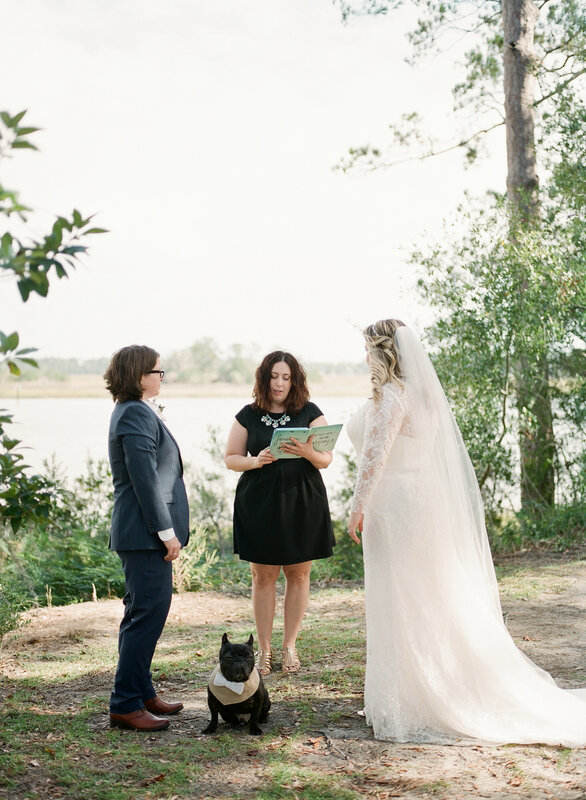 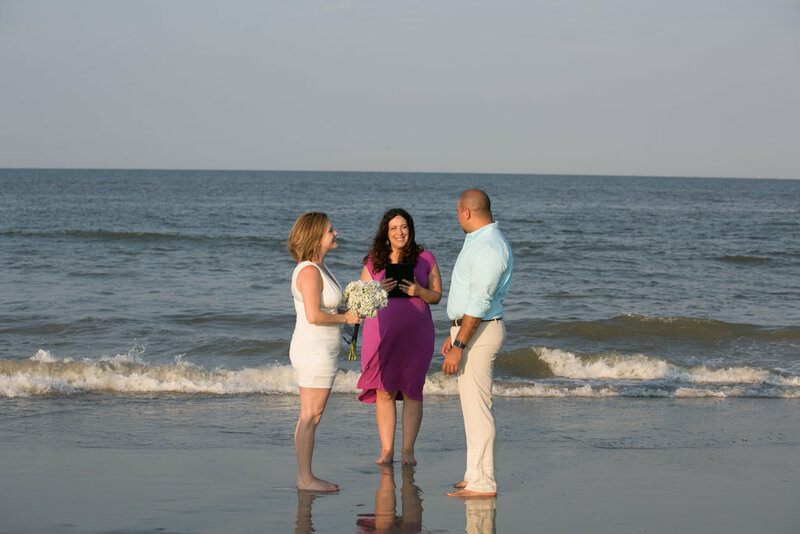 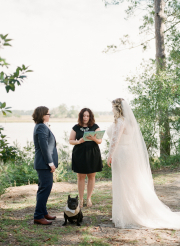 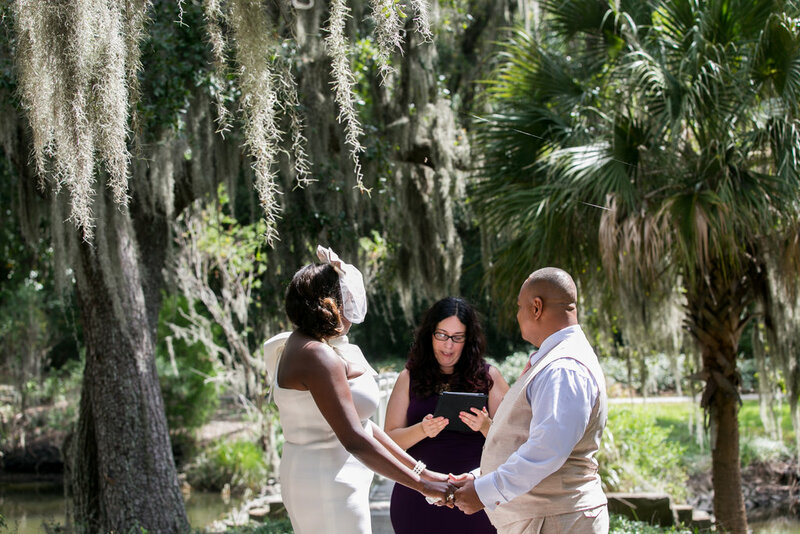 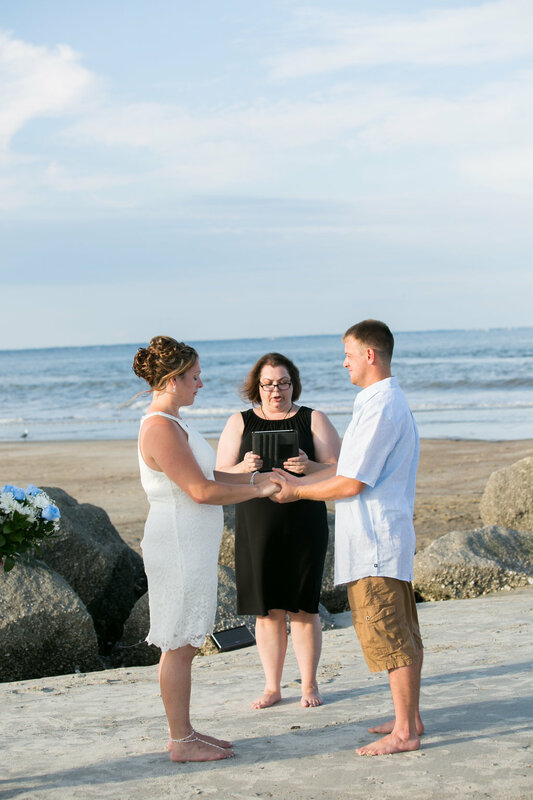 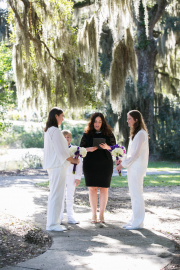 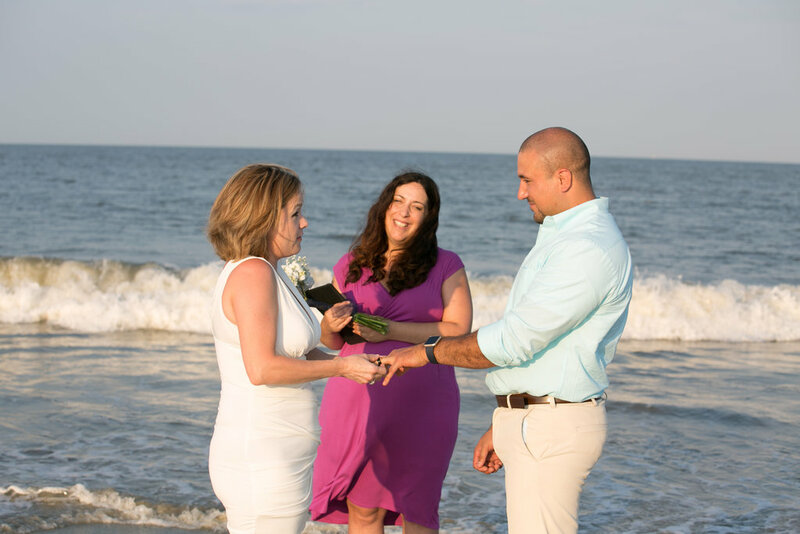 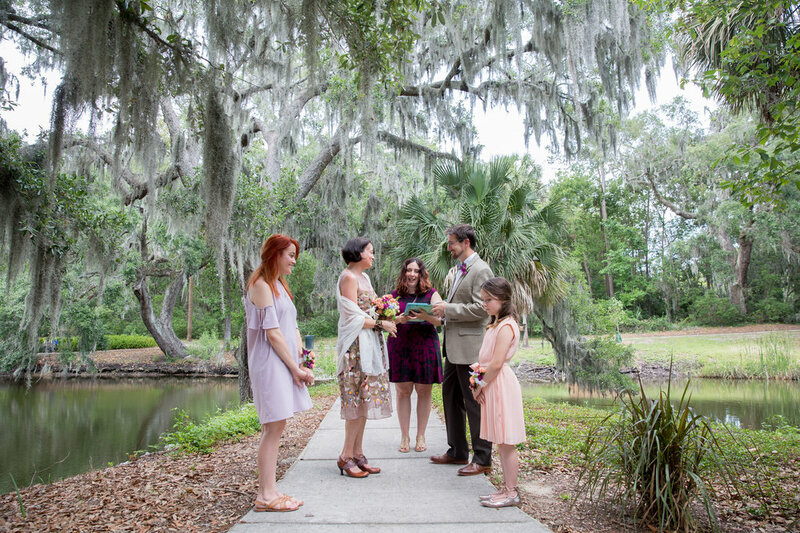 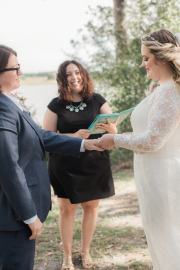 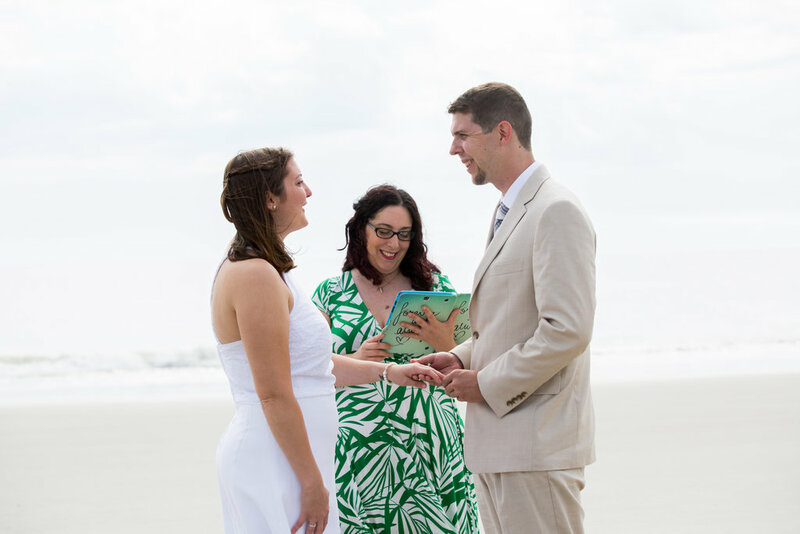 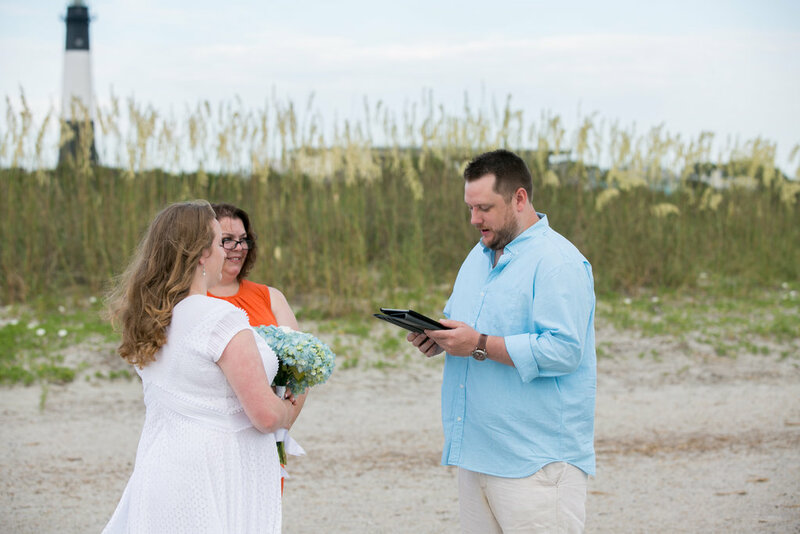 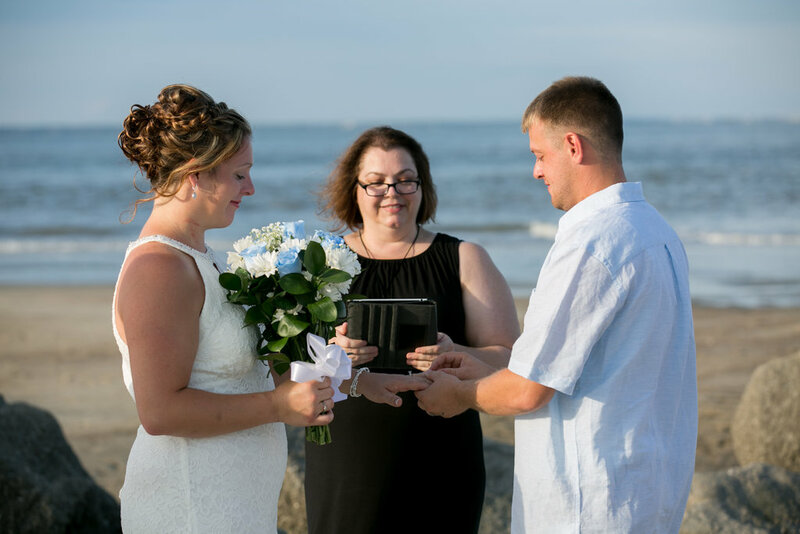 If someone decides to venture away from the downtown historic area of Savannah for an elopement or intimate wedding, they usually choose the beach at Tybee Island, Bonaventure Cemetery, or the Wormsloe Historic Site. 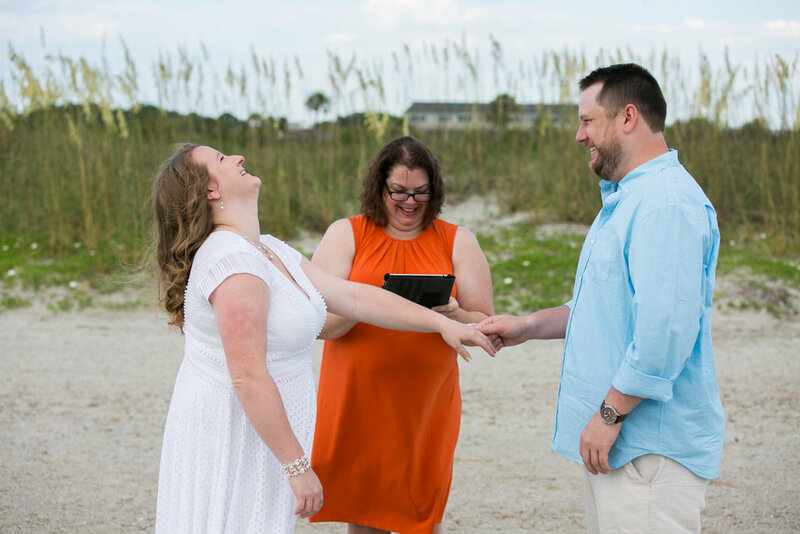 Here are pros and cons to each, and directions on how to book them. 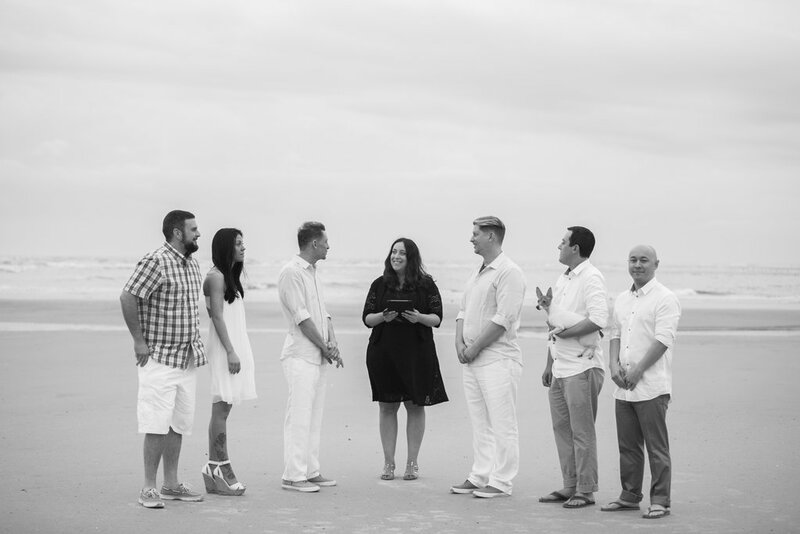 One pro that applies to all is that they are beautiful. 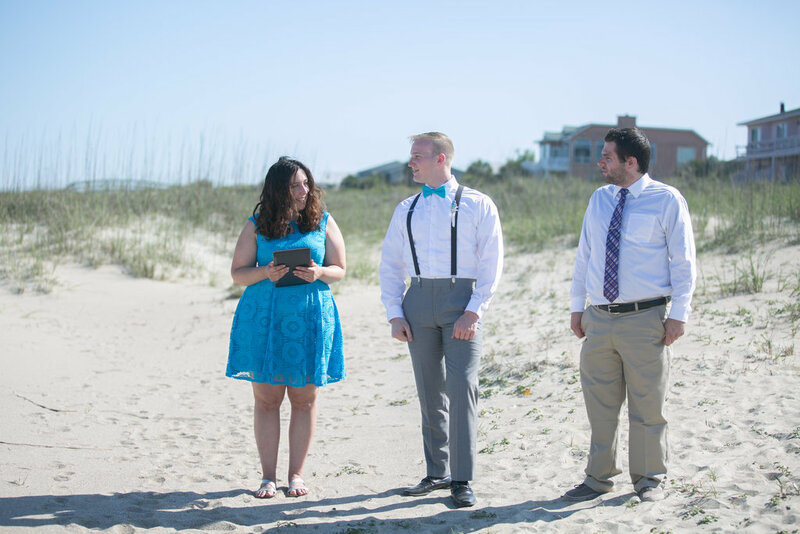 The con that applies to all is that they are extremely buggy so bring your sunscreen AND your bug spray! 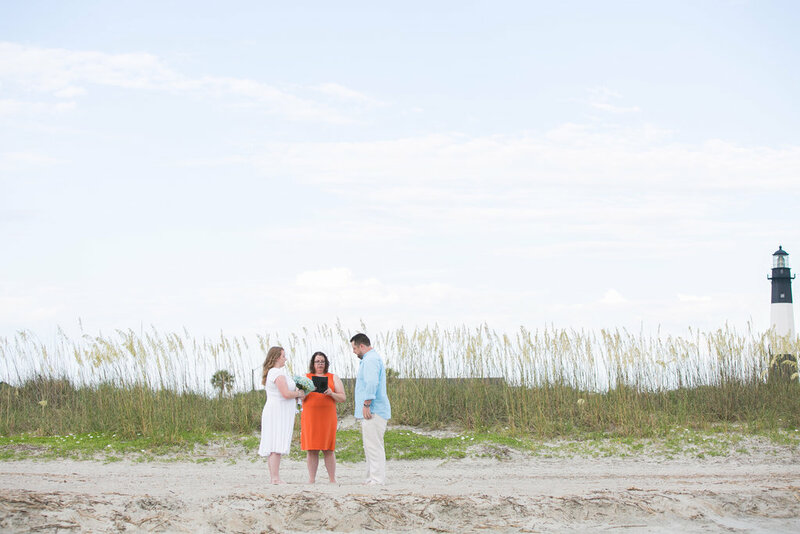 Please note that some of these locations make changes to their booking policies and fees frequently, so it is important to verify these at the time of your booking. 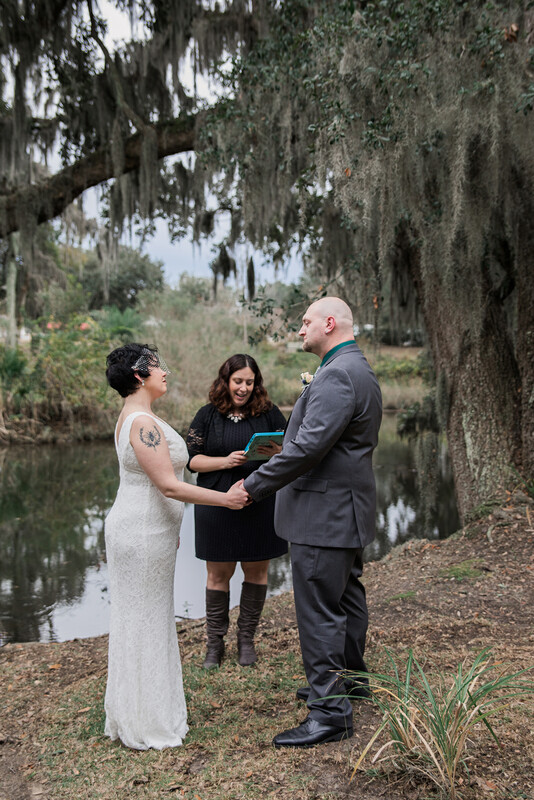 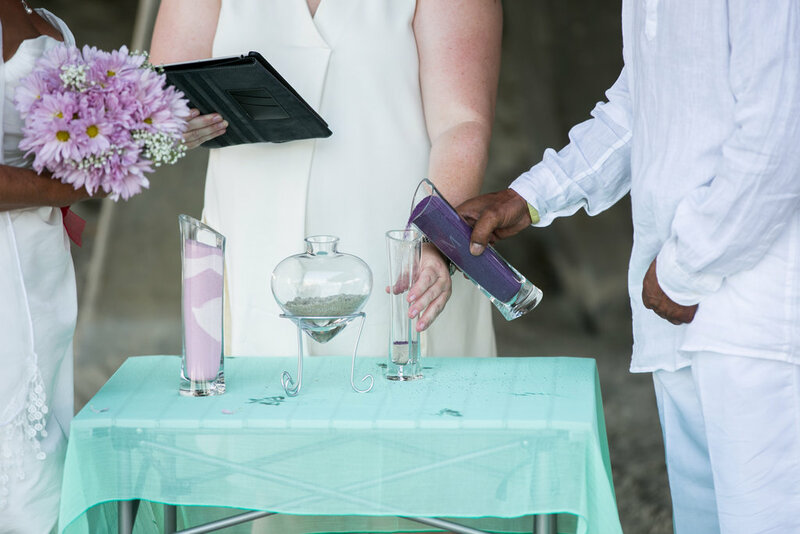 If you are a Savannah Elopement Experience or an Intimate Destination Wedding client, we can help you reserve these locations as part of your package. 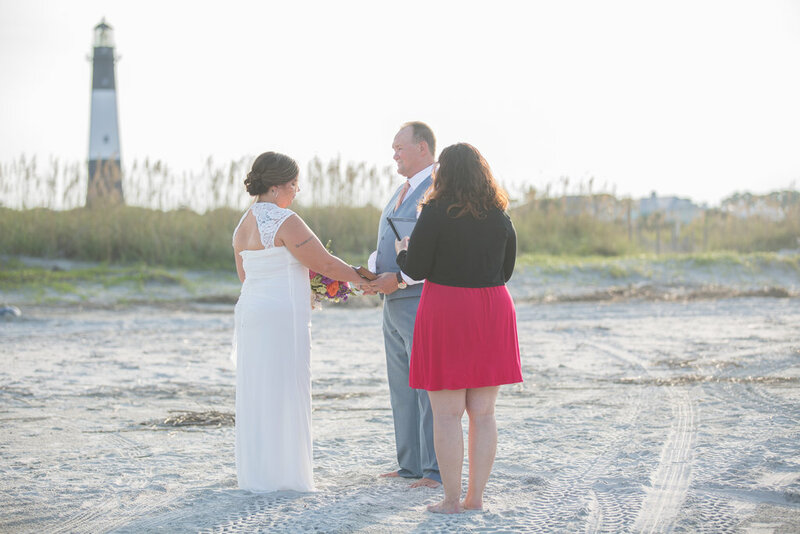 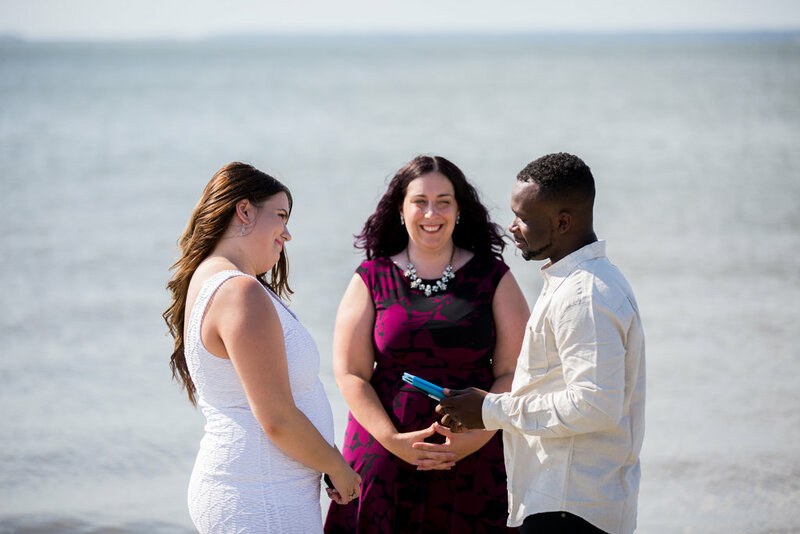 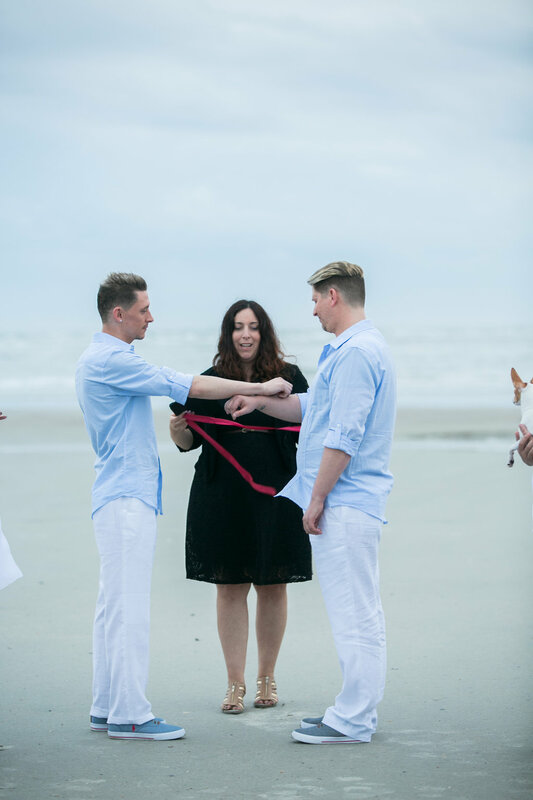 Pros: Sunset is a gorgeous time for a beach ceremony and North Beach and South Beach offer some more private areas. 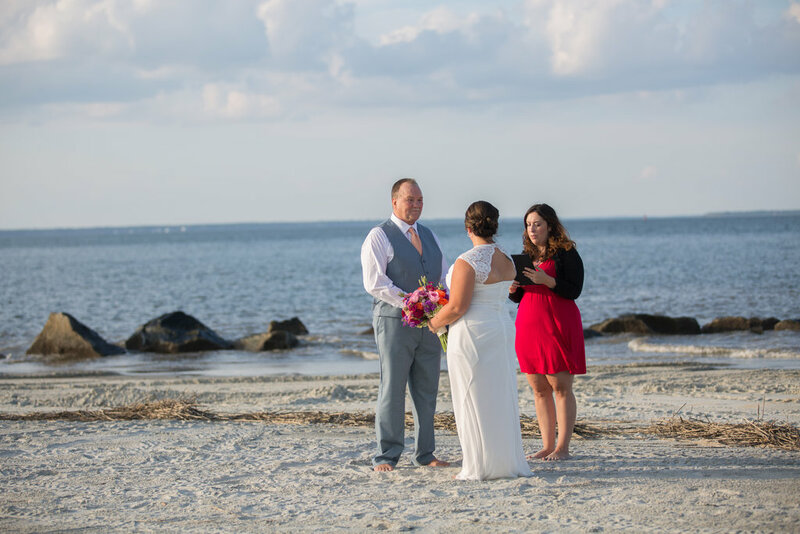 Cons: The beach is mostly first come, first serve, so you may have sunbathers close by. 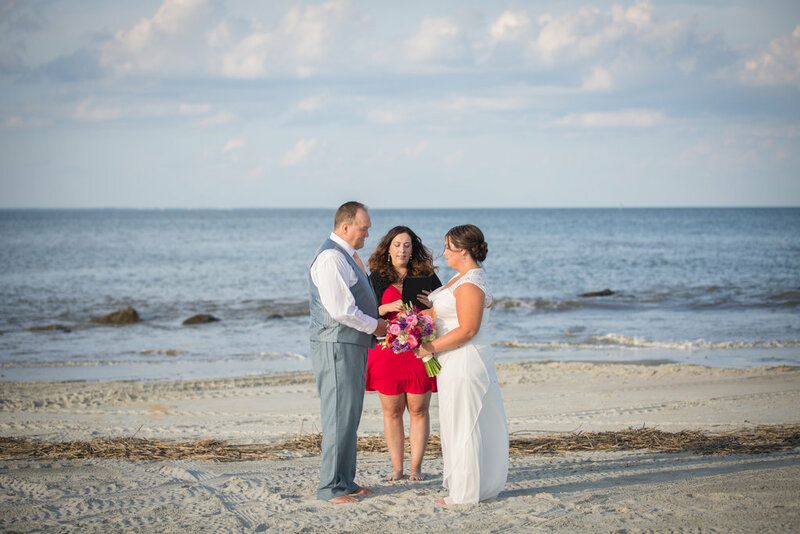 It can be brutally hot and bright in the summer during midday and afternoon. 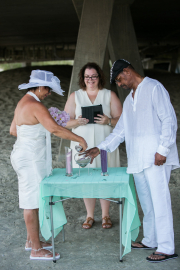 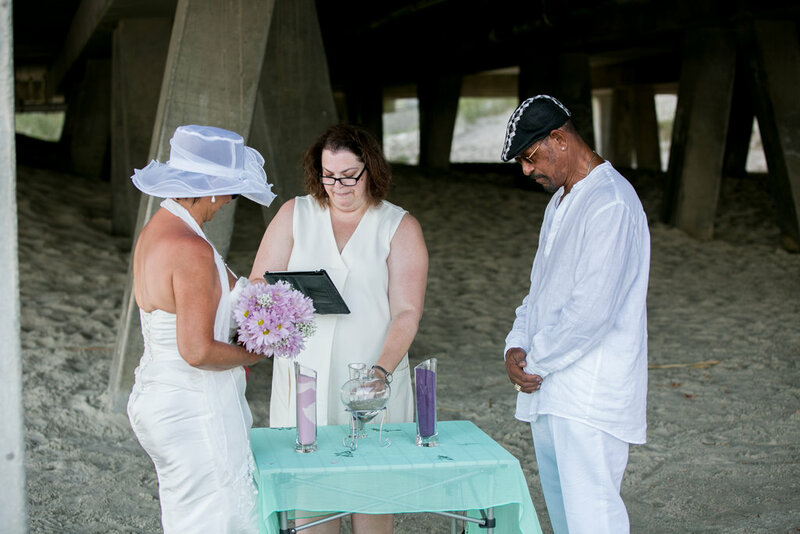 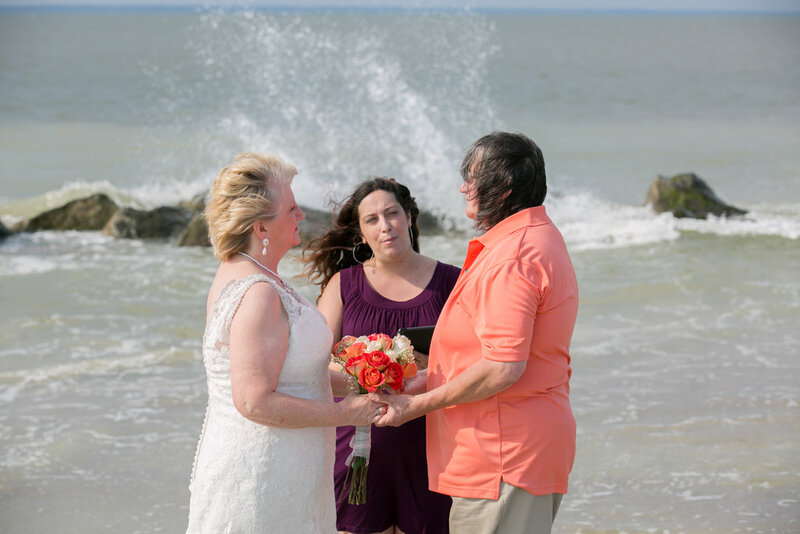 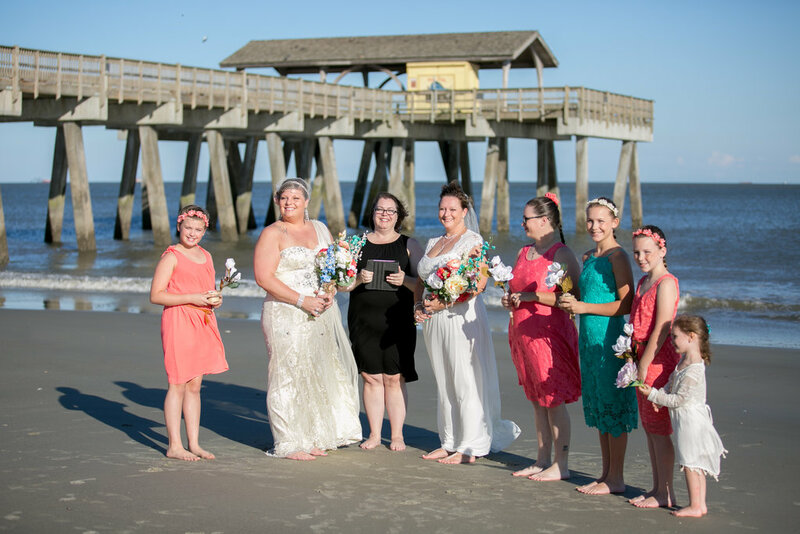 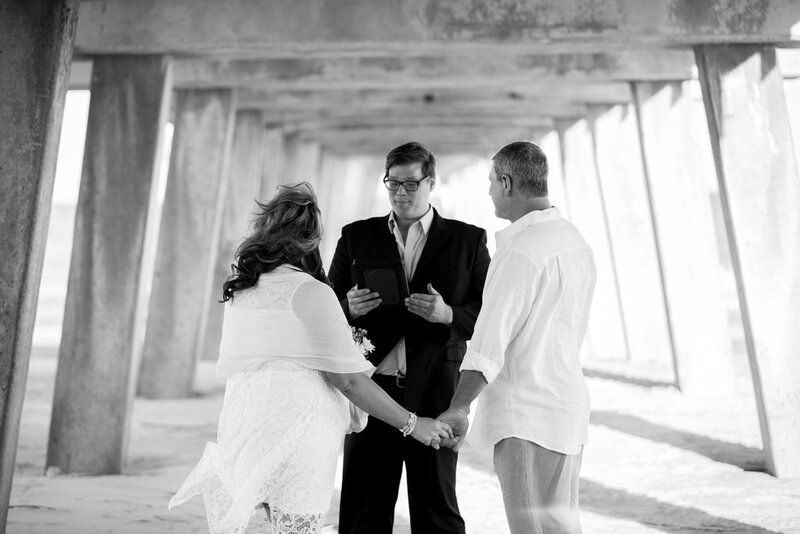 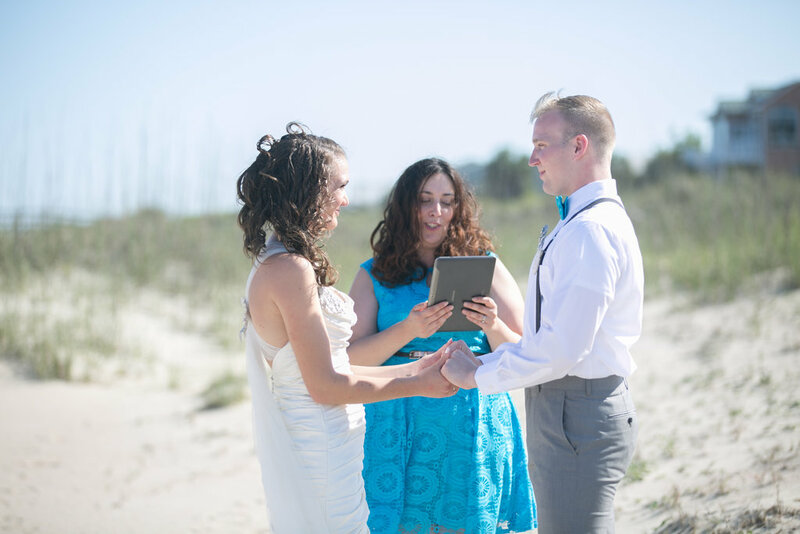 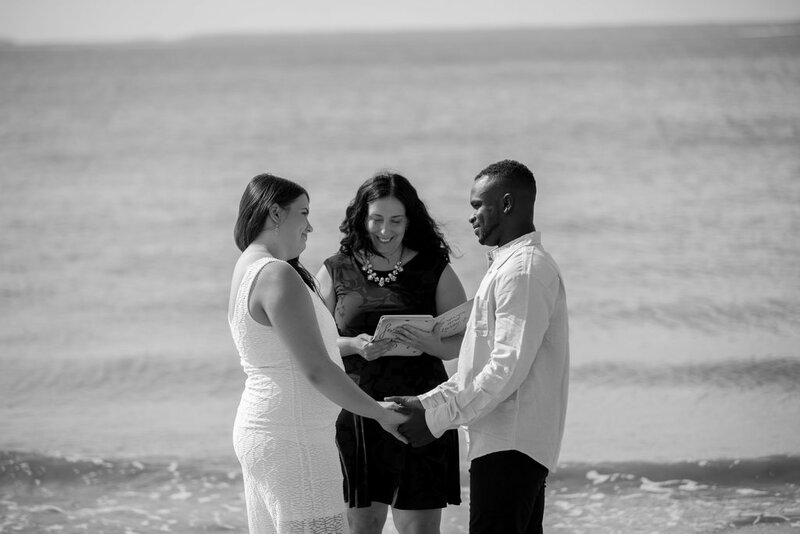 Booking: Getting married on the beach at Tybee Island is free, unless you want structures (wedding arch, etc.) 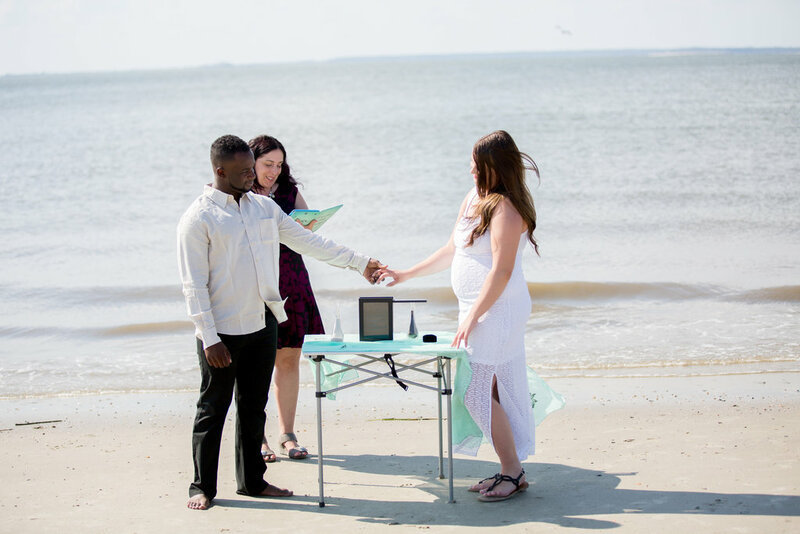 or chairs or have a large party. 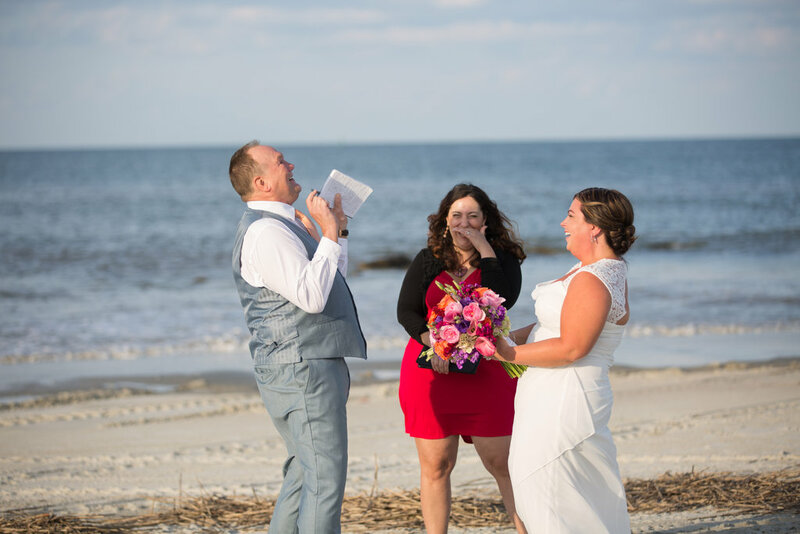 If any of that applies to your celebration, you can apply directly to the City of Tybee Island for a $25 beach permit. 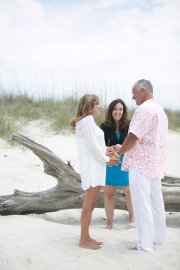 Pros: It is a gorgeous setting, especially during the spring when the azaleas are blooming. 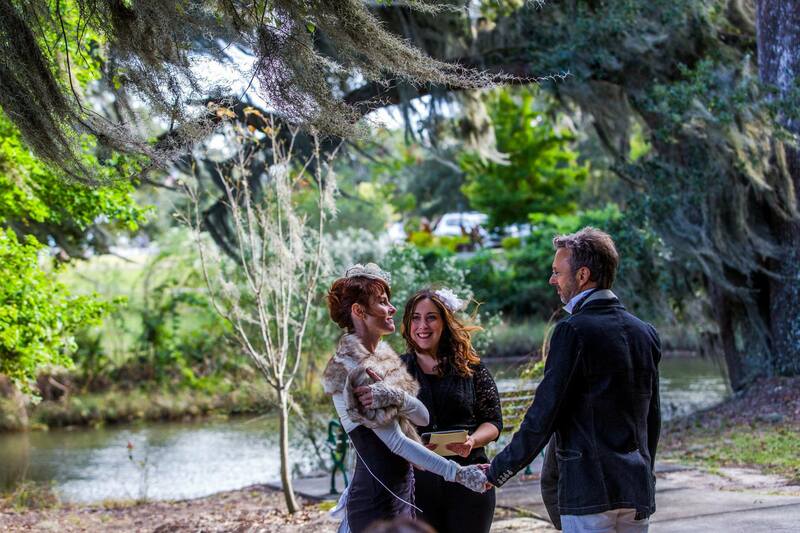 If you rent Greenwich Park, you get an entire large park to yourself with sweeping trees and a bridge over water. 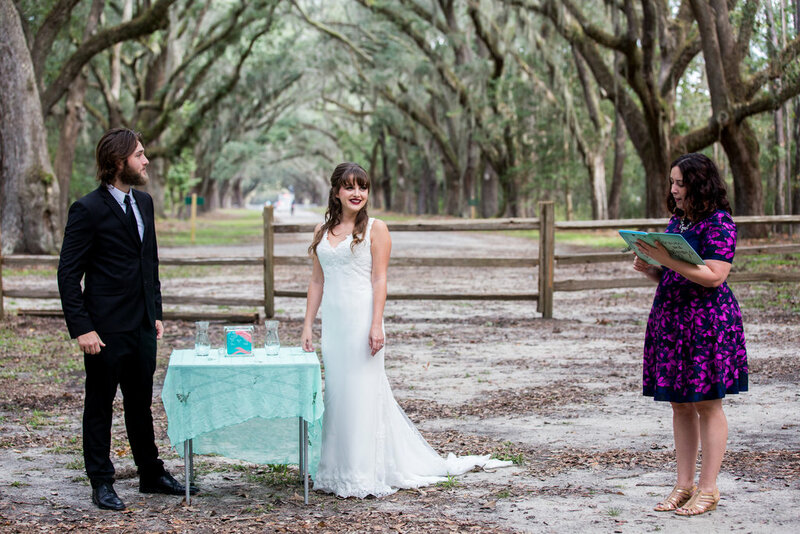 Cons: It is a cemetery so there may be funerals going on in a nearby location your wedding day. 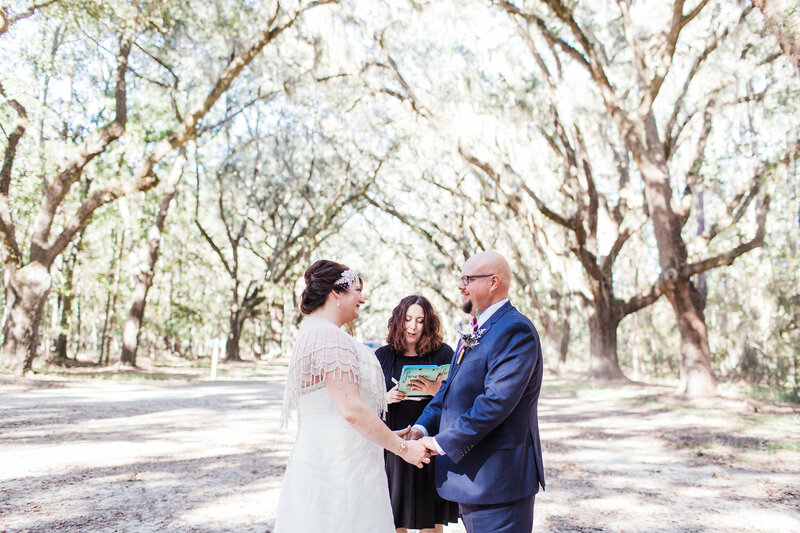 In addition to mosquitoes and gnats, there are fire ants so wear closed toed shoes if you can! 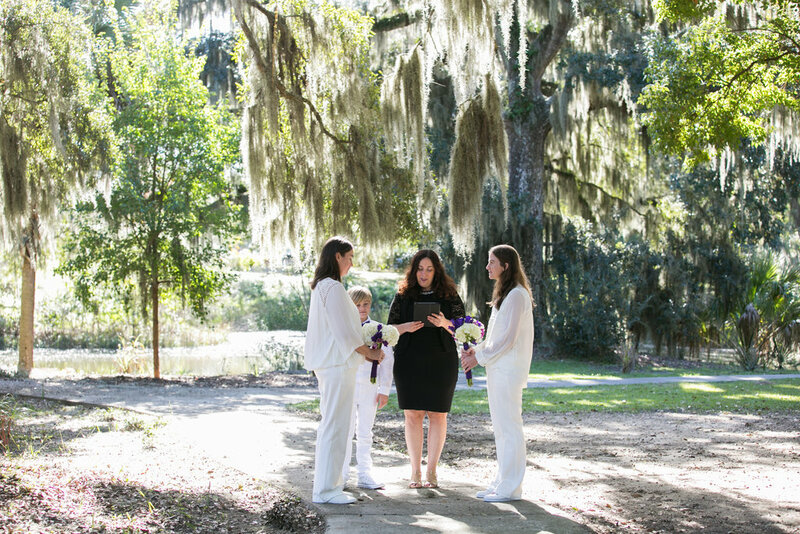 Booking: You must get a permit to be married and/or to take photos anywhere in the cemetery, even if it is just the couple. 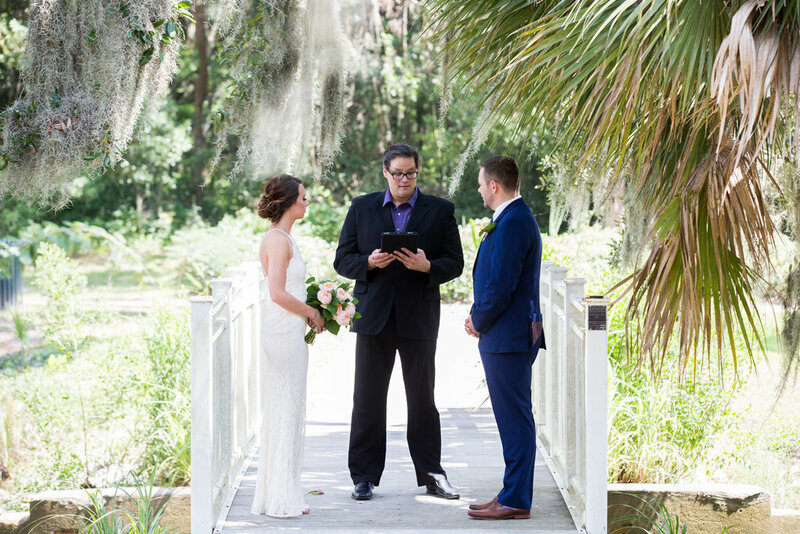 The cost is $50 per hour before 5PM and $150 for the first hour after 5PM and then $50 per hours. The bookings are managed by Savannah’s Cemetery Department. 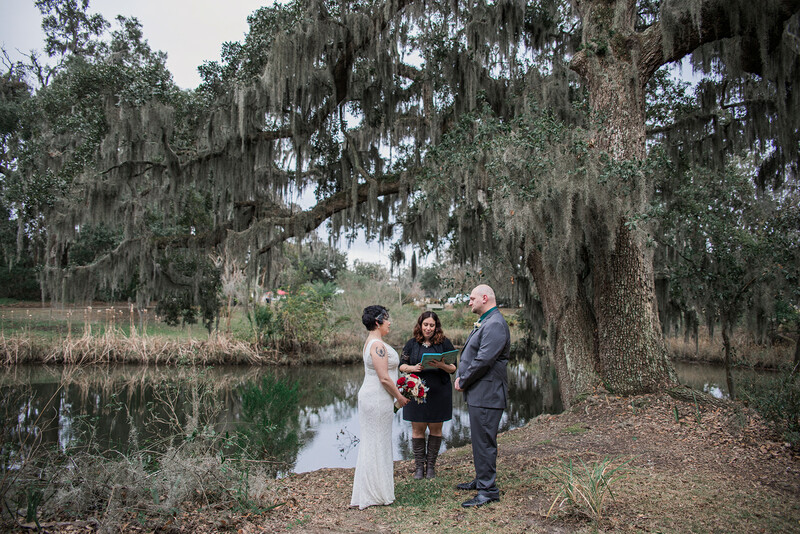 Pros: It is also a gorgeous setting. 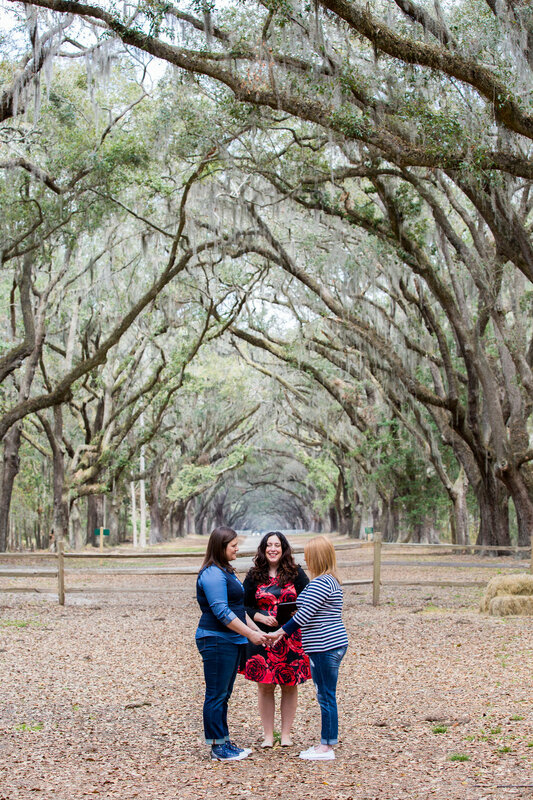 Those trees! 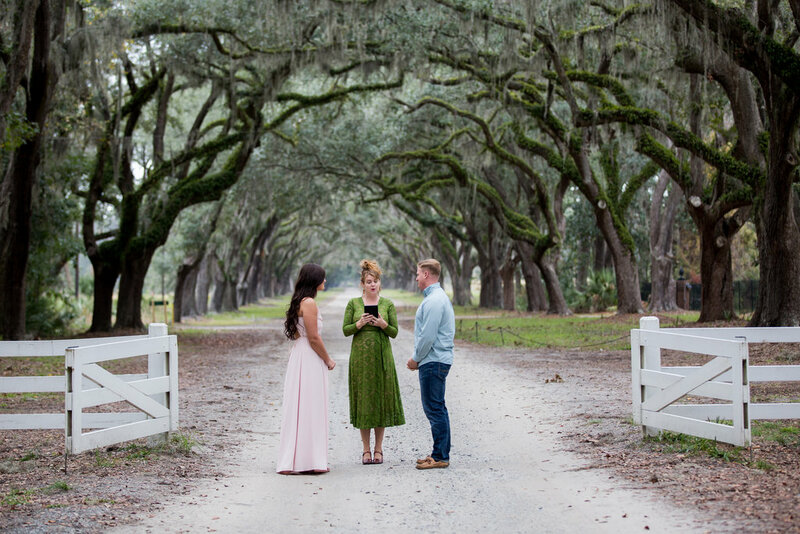 Cons: The Wormsloe Historic Site is somewhat far from downtown (20-30 minute drive). 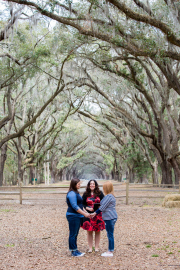 While the State of Georgia has restored it as a historic site, it has a was a plantation before the Civil War. 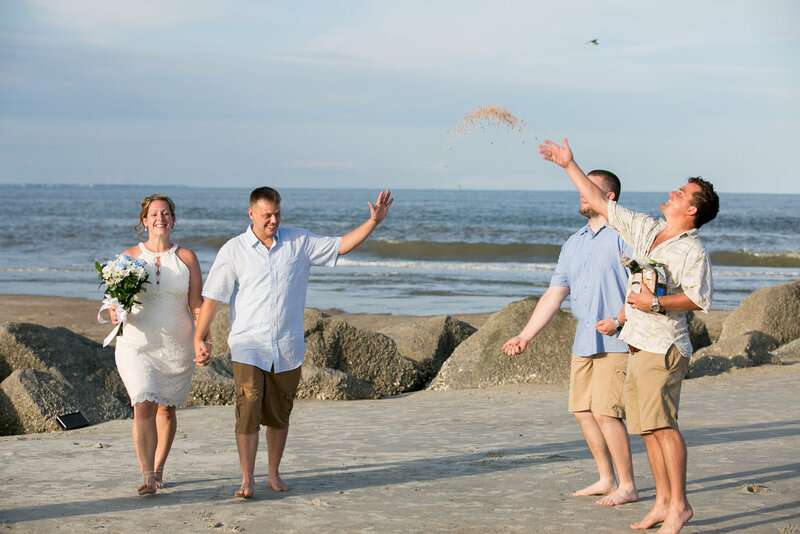 It can also get very dusty as cars drive down the road where photos are taken and some clients don’t like that there are limited backgrounds for photos. Finally, like Bonaventure, it has a lot of gnats when it’s hot so wear lots of bug spray! 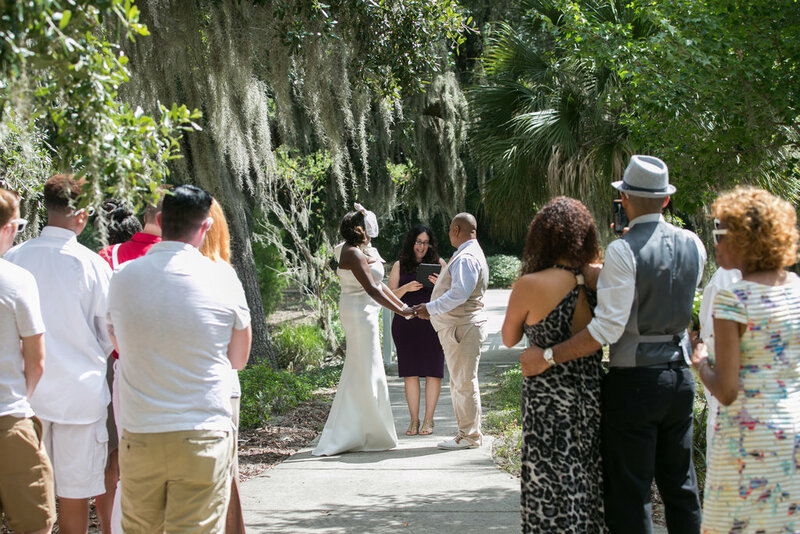 Booking: You must get a permit to be married and/or to take photos anywhere in the historic site, even if it is just the couple. 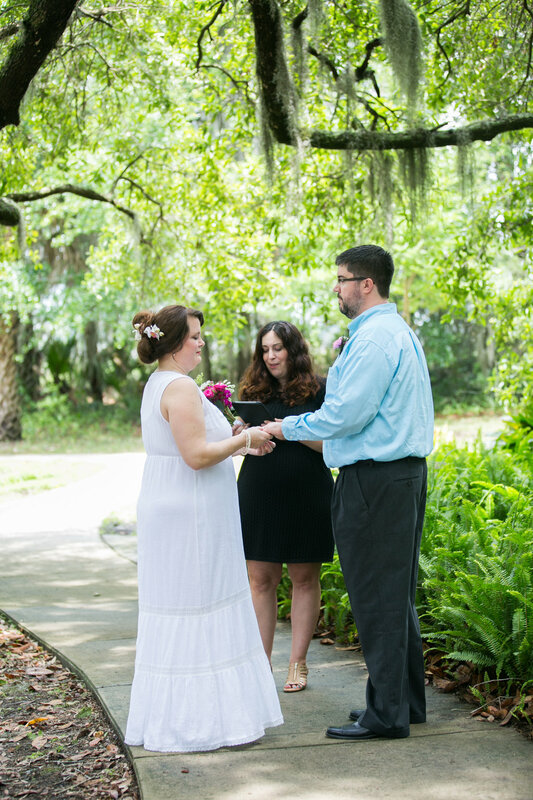 The cost is a $25 photography fee, plus a permit fee. 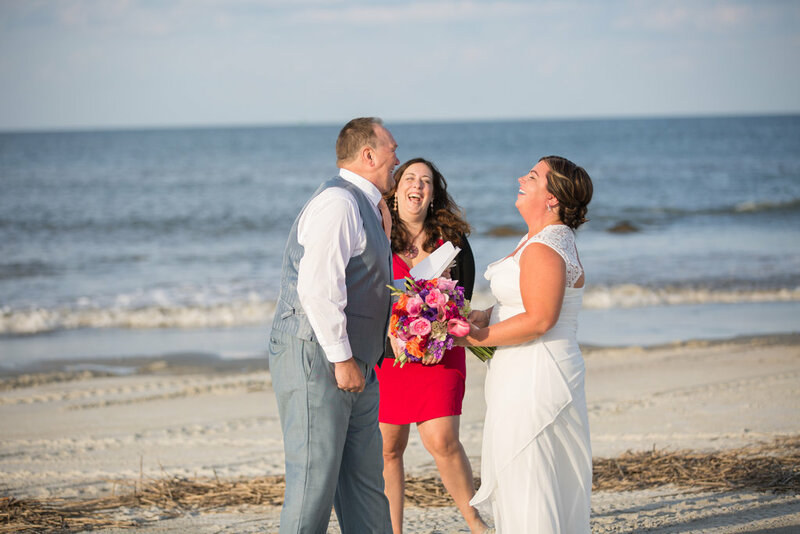 Permit fees vary, but start at $225 for just the couple and up to 15 guests on weekdays and go up to $2,000 for 100 guests on a weekend. The bookings are managed by Georgia State Parks. 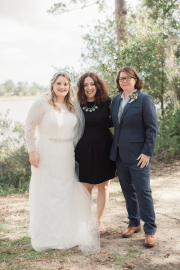 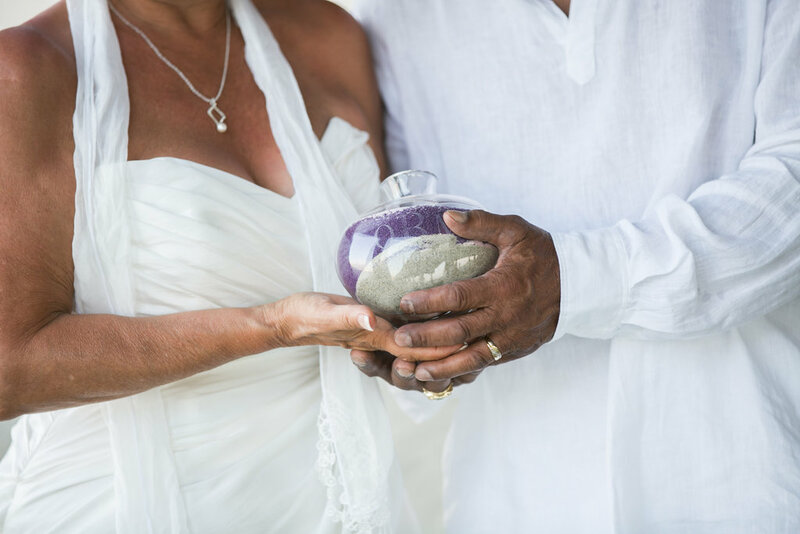 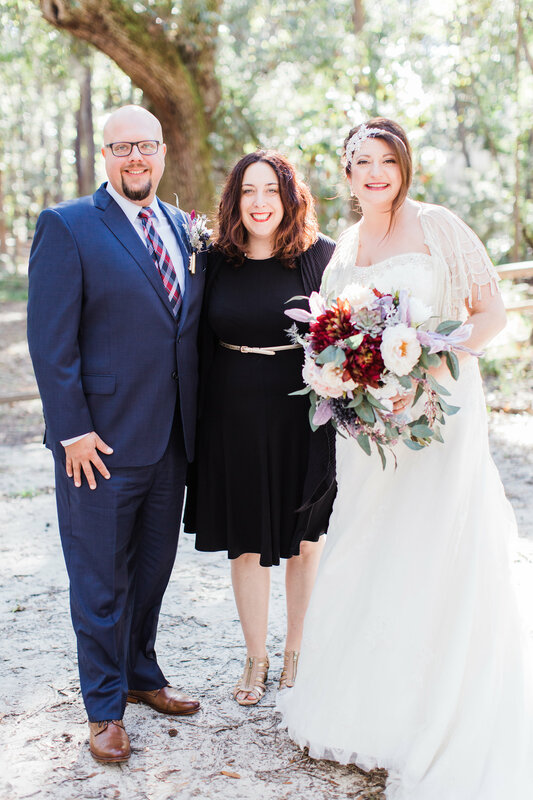 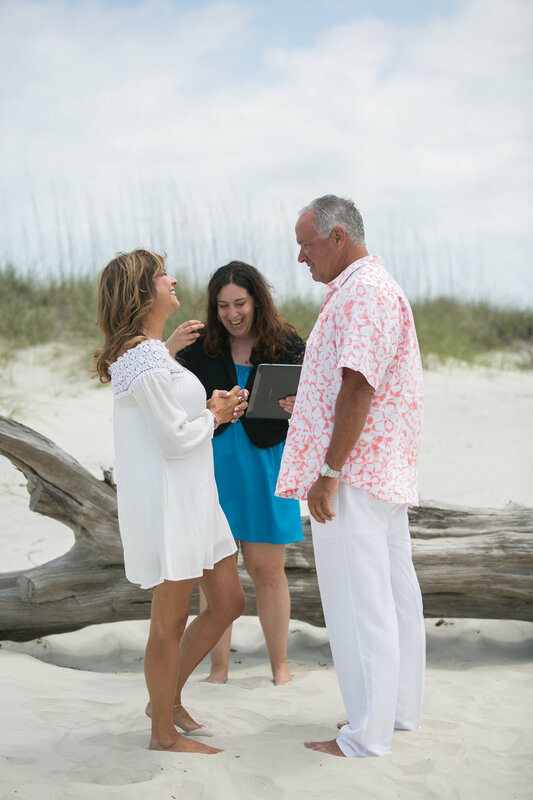 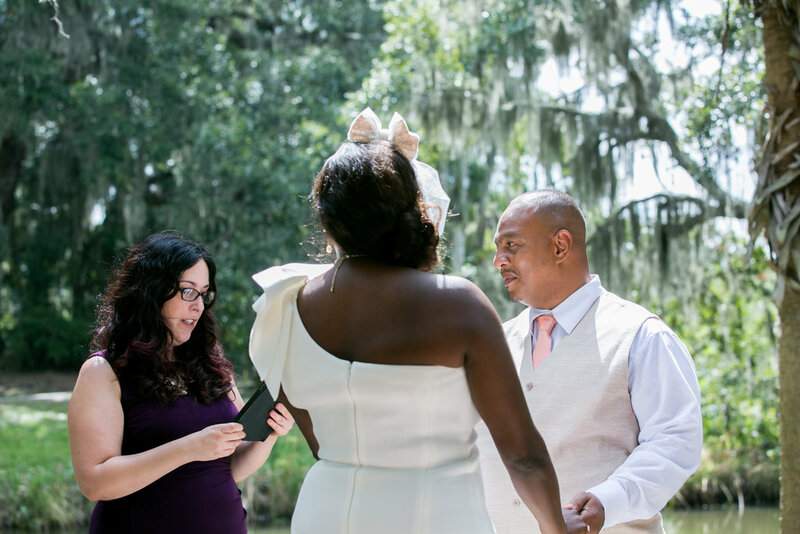 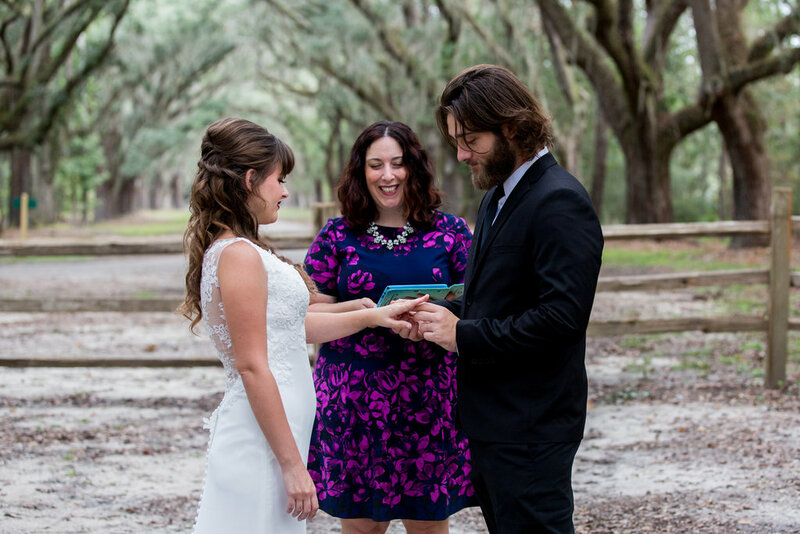 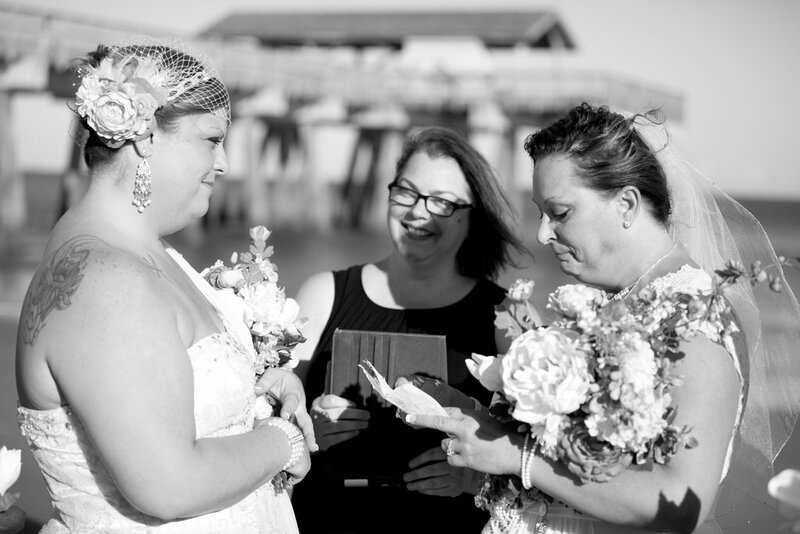 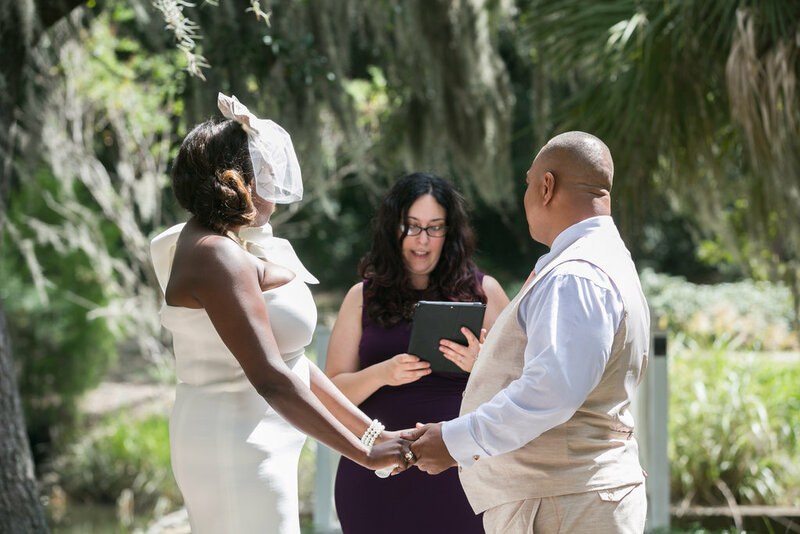 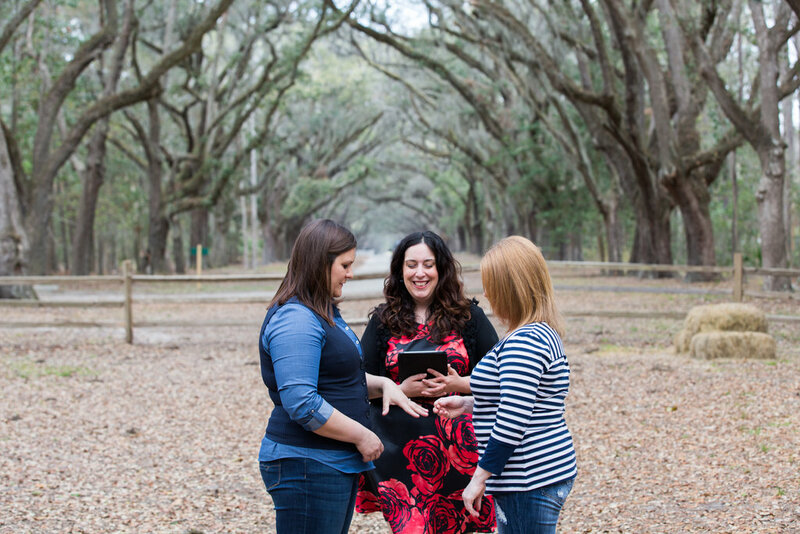 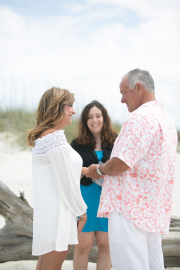 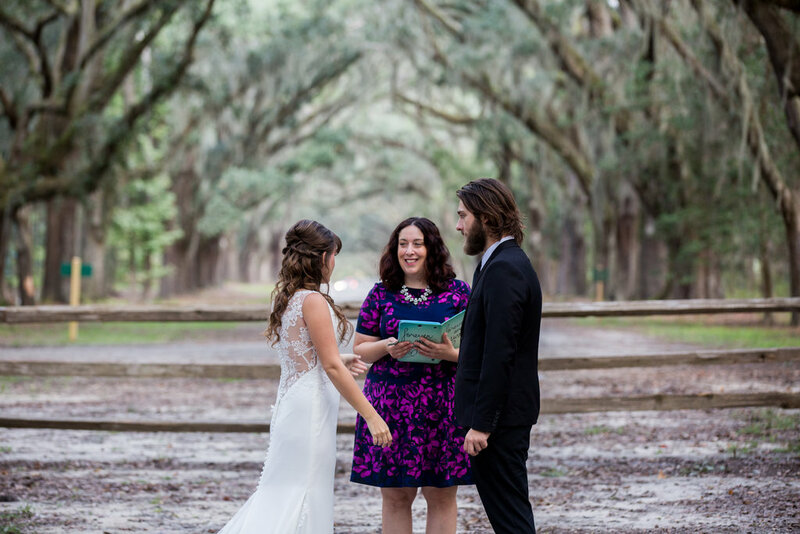 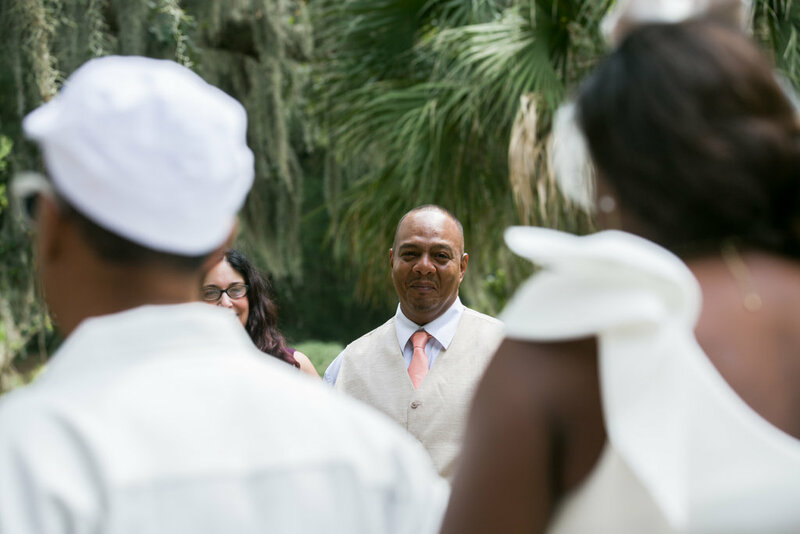 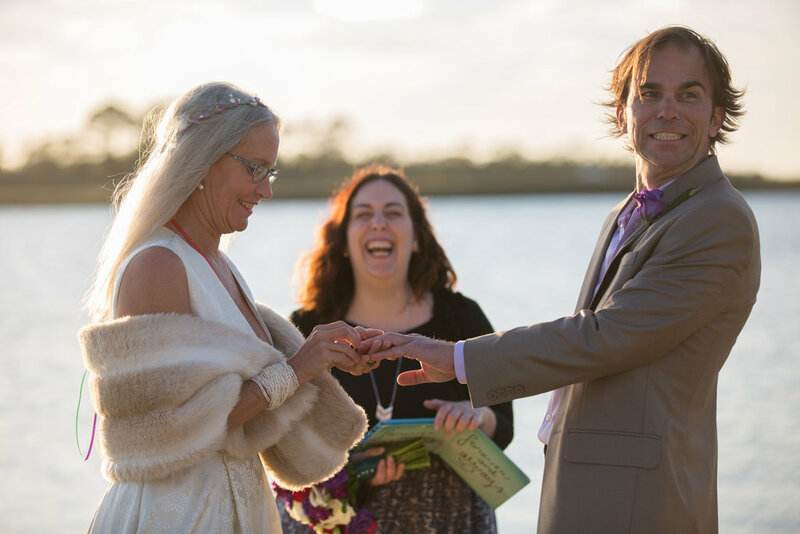 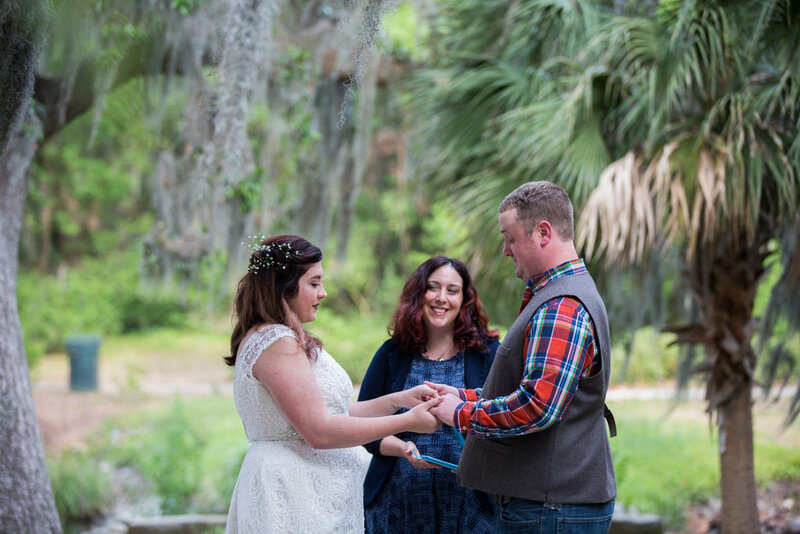 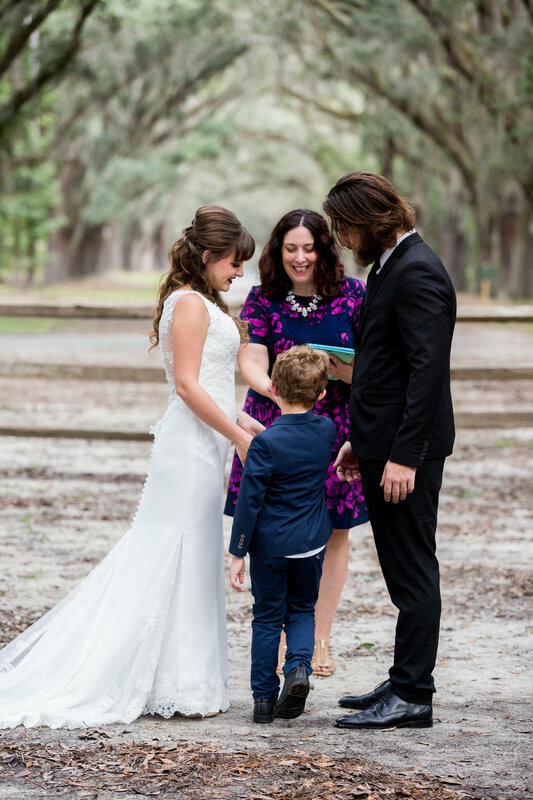 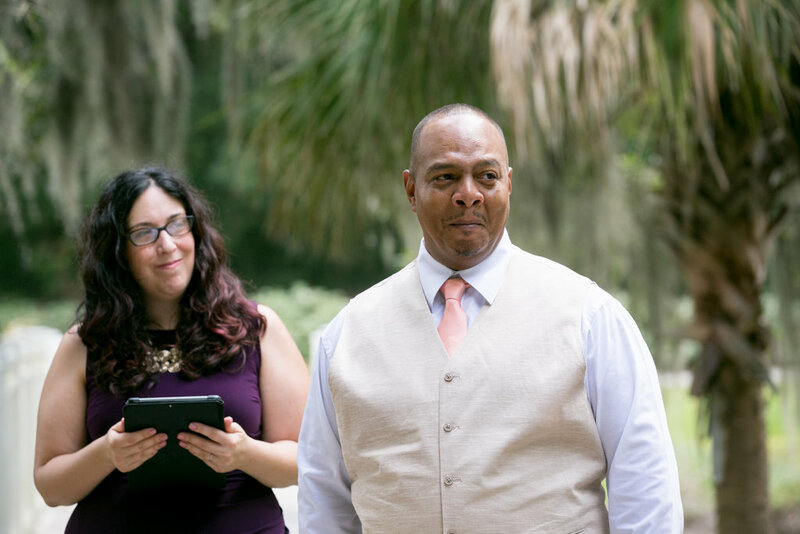 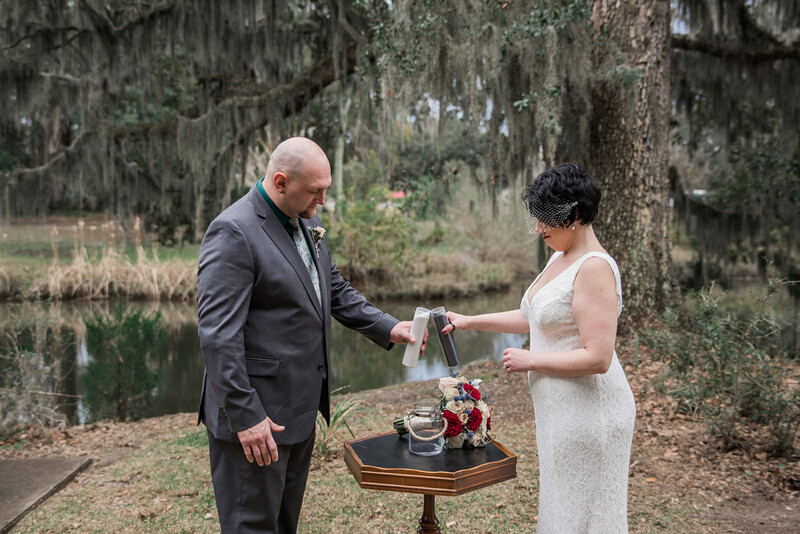 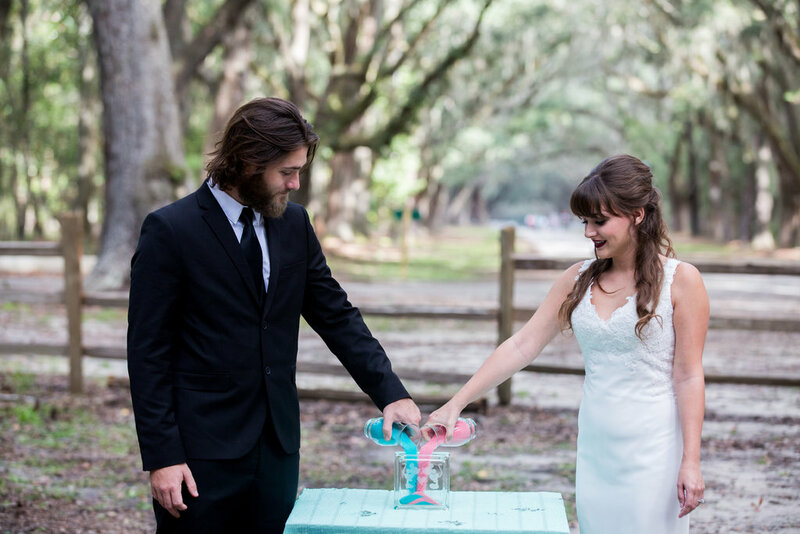 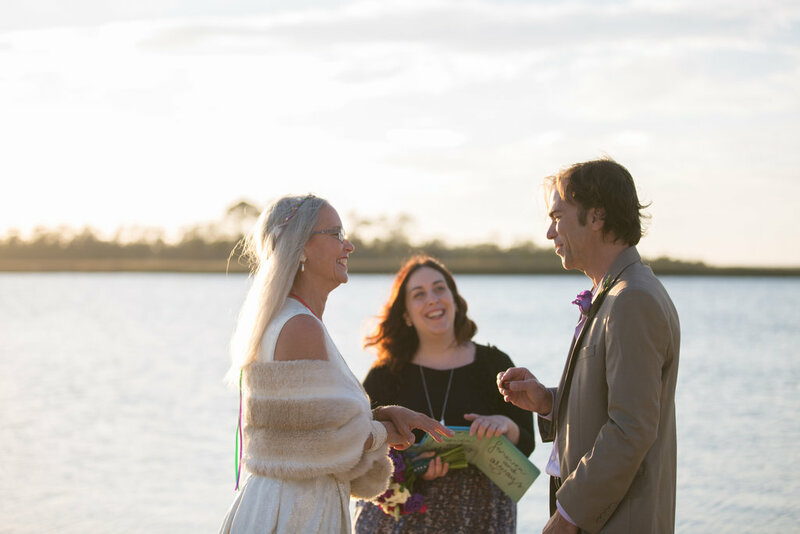 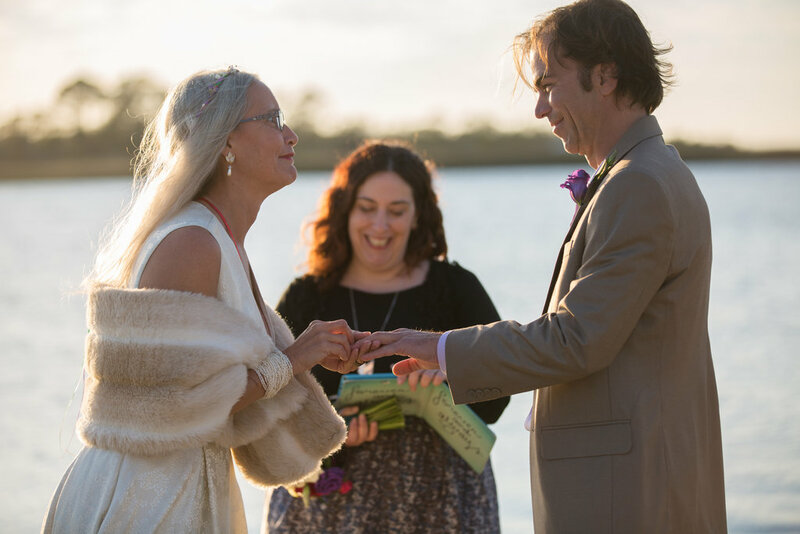 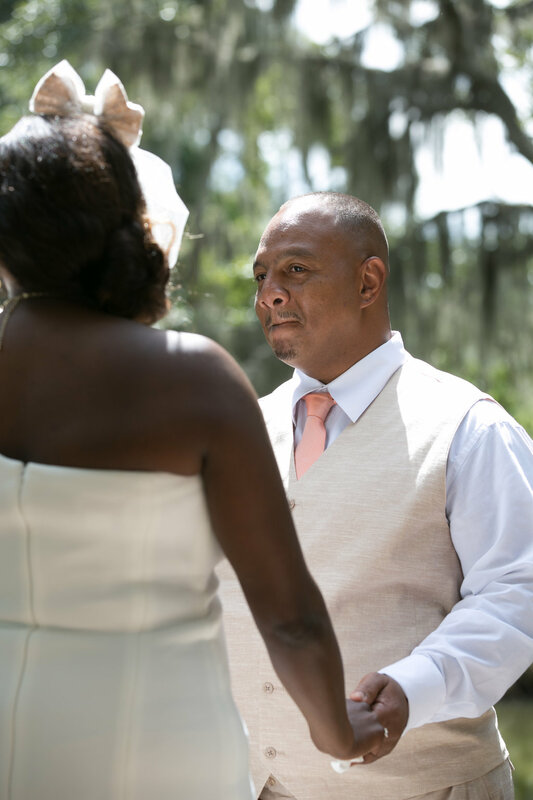 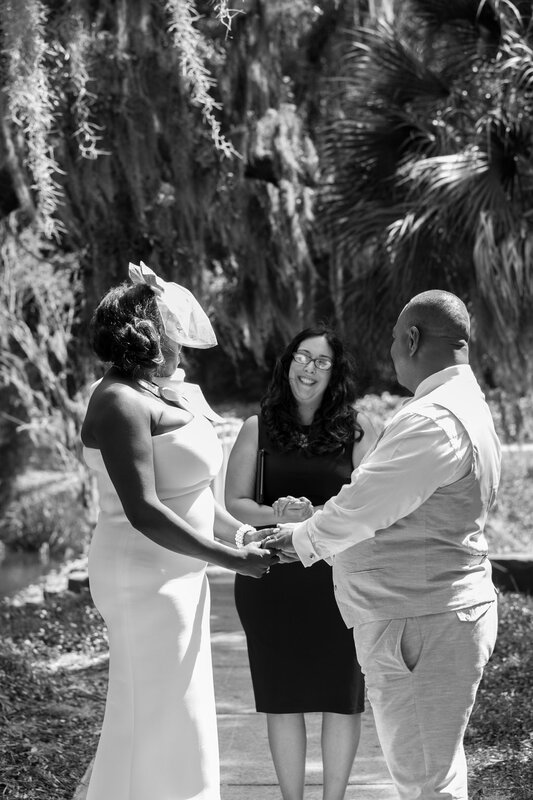 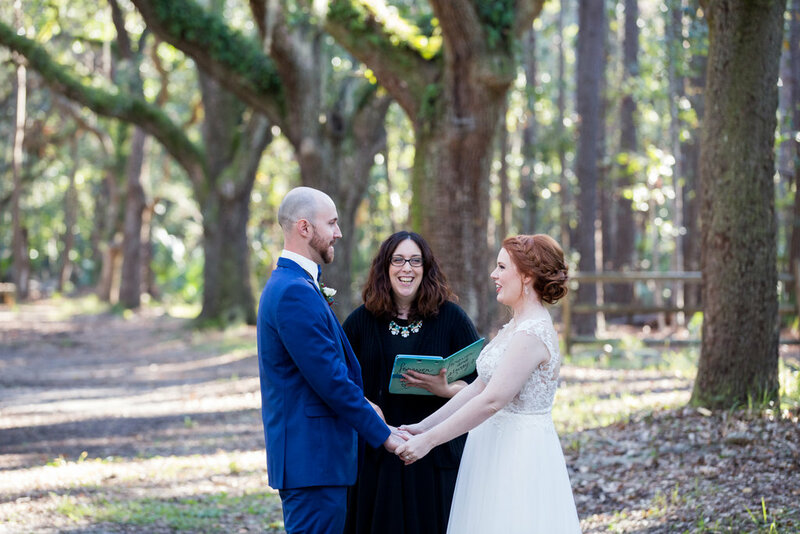 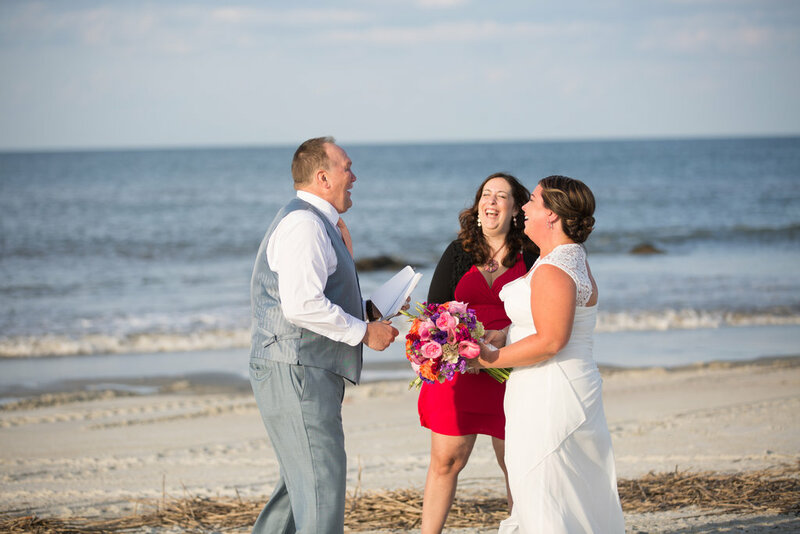 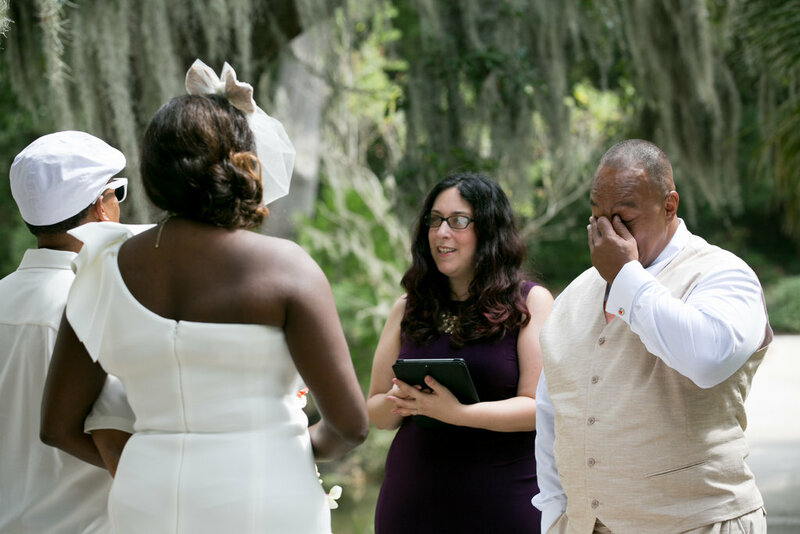 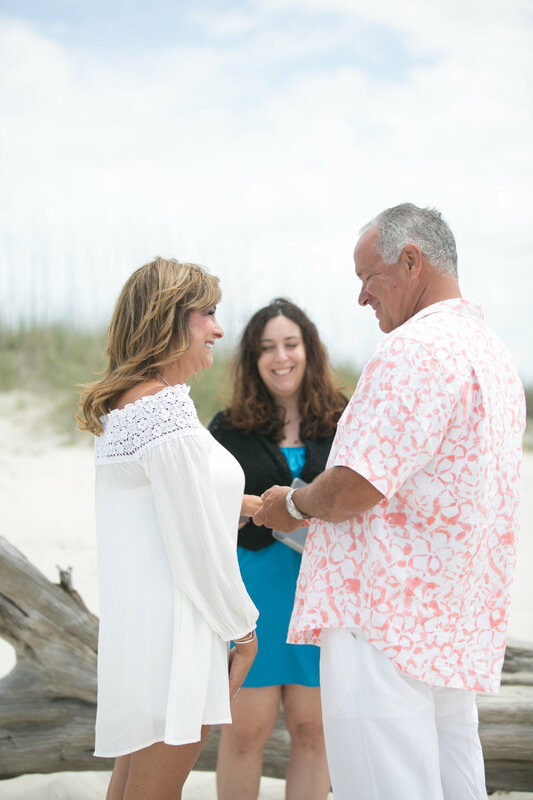 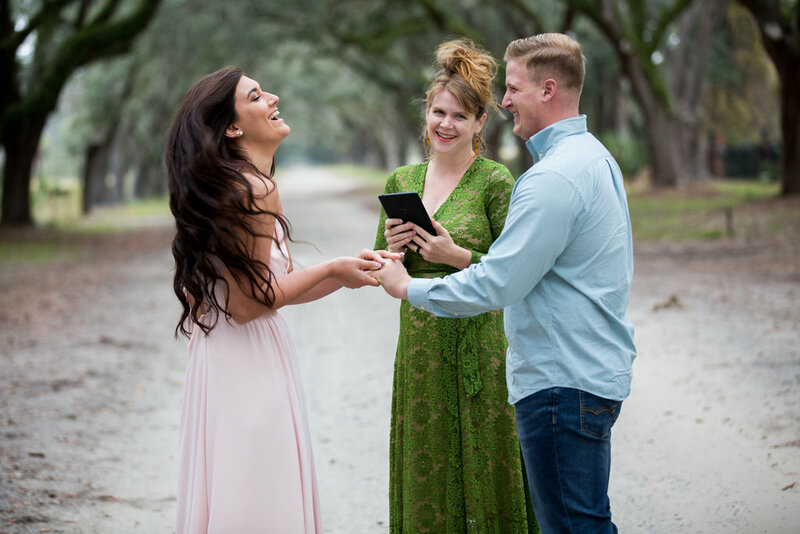 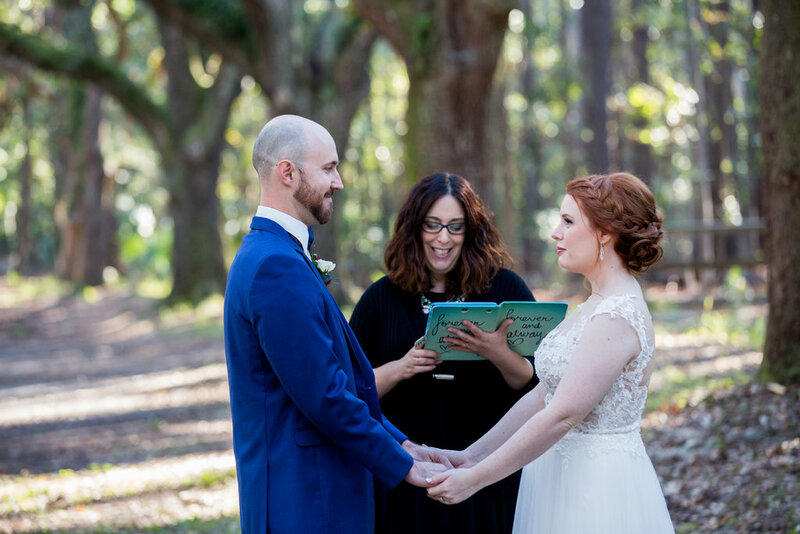 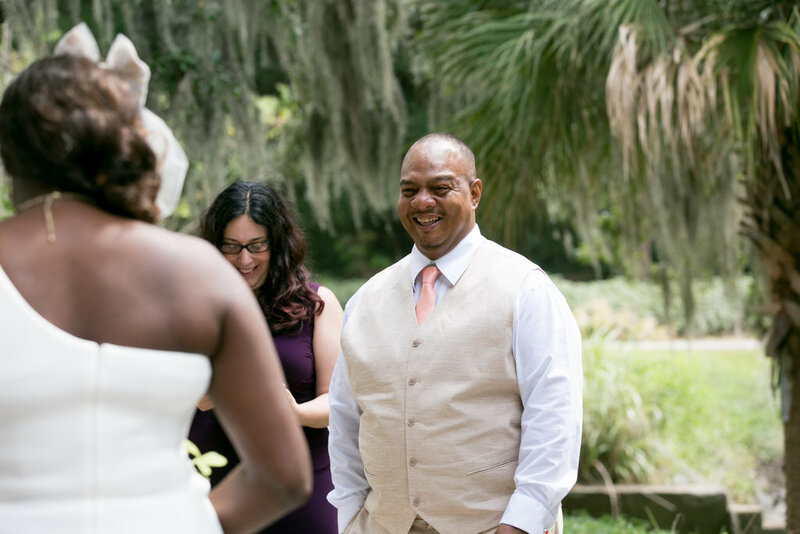 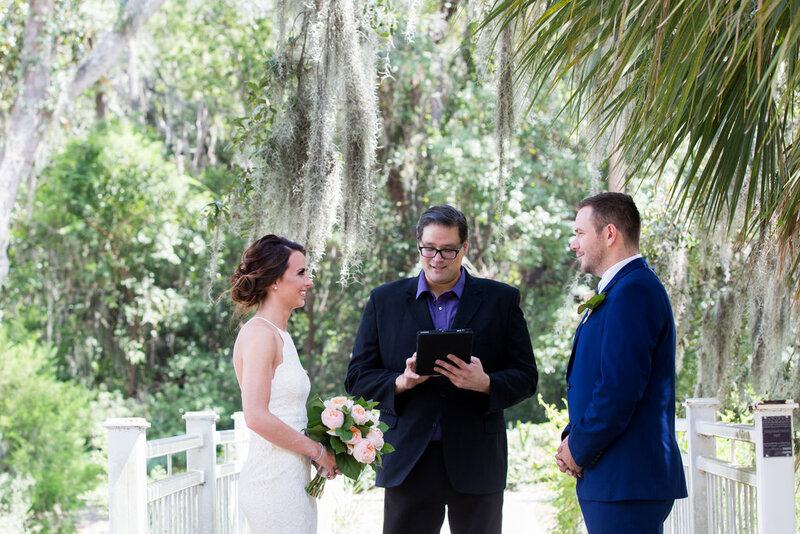 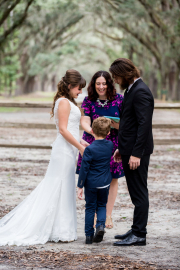 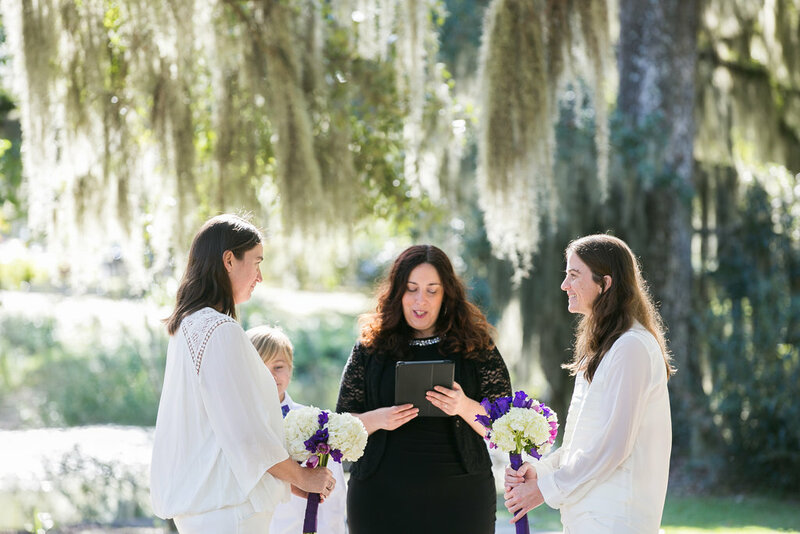 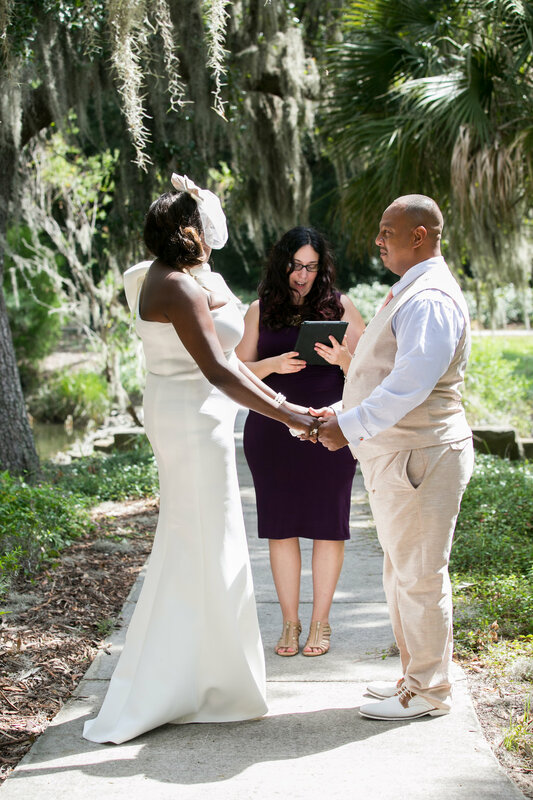 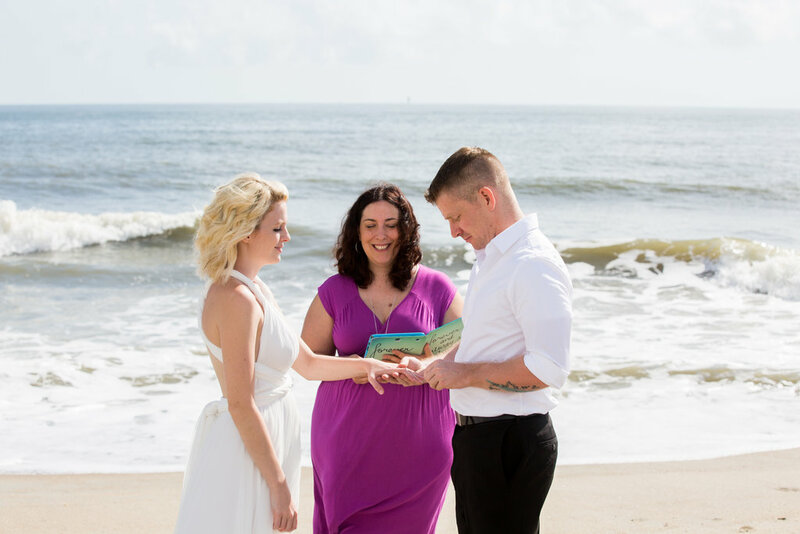 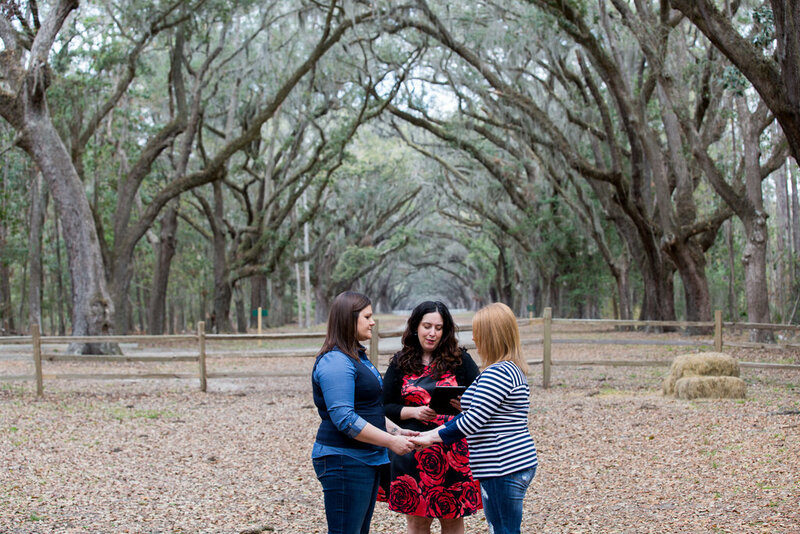 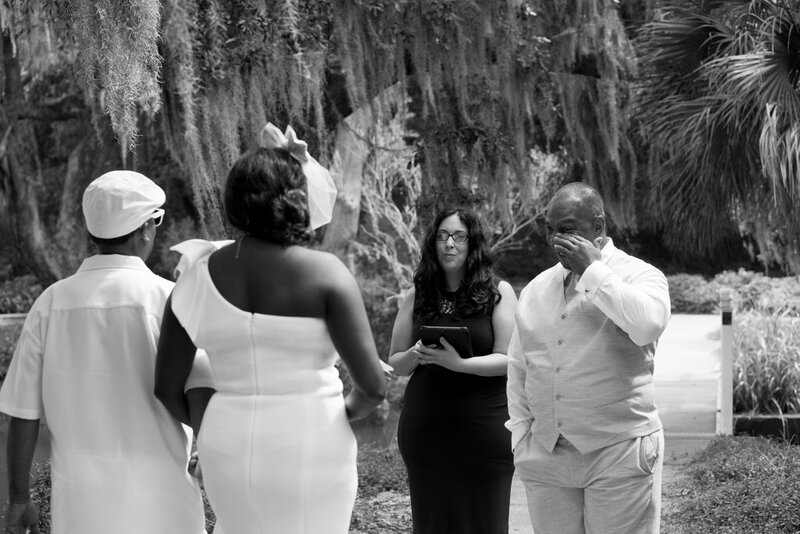 Enjoy our gallery of elopement and wedding ceremony photos at Tybee Island, Bonaventure Cemetery, and the Wormsloe Historic Site!